Hi there, how are you doing? I hope you have had a really nice couple of weeks. Mine have been fairly busy with lots of fun things going on. I was born in Aylesbury and I’ve spent most of my life in Buckinghamshire with the exception of the five years I spent living and working in Somerset. And the two years I spent in Middlesex as a child. The reason I mention this is the other day I visited the place where I used to live from the age’s of around eight to ten. My parents moved there to run a Forbuoys newsagents. 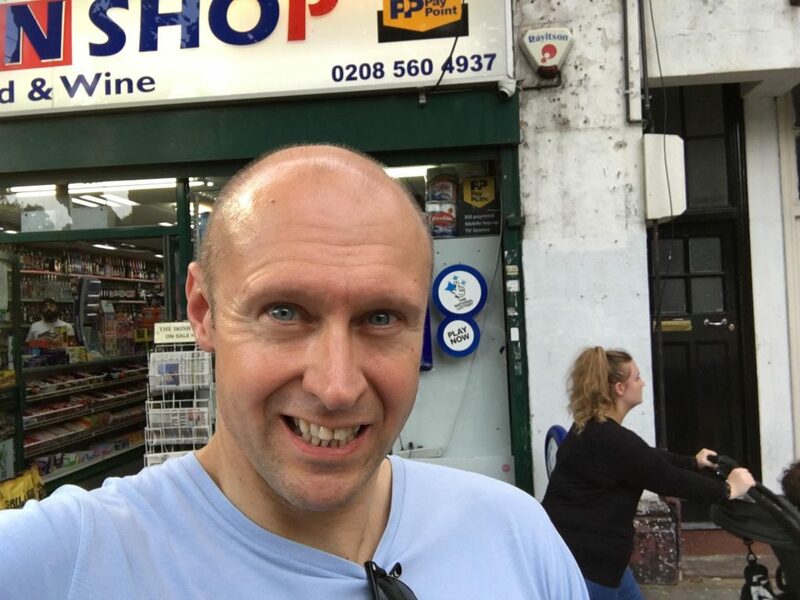 And we lived in the flat above the shop in Isleworth. It was quite a culture shock for a young boy to move from a lovely little village school to a big one on the outskirts of London. I grew up more during those two years than I did all through the rest of my childhood. Everybody there was very nice to me possibly because they knew my parents ran a shop and they thought I might be able to get them free sweets. It gave me the life skill of adjusting to new situations and making new friends from scratch at a very early age. I joined the Cubs while I was there. Mainly as that was the only way I could find to play football locally. But I did gain both my Cooking and Entertainment badges during my time with them. I also did my first paper rounds with my dad there. A job I later did until I was about eighteen. 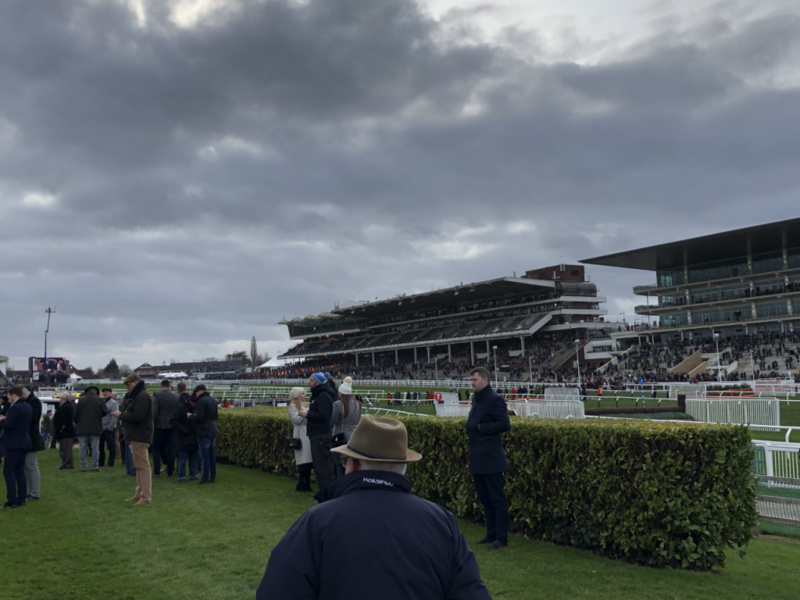 It was the first time I had been back to the area since we moved back to Buckinghamshire on the day of my tenth birthday. It was a bit odd, as I was walking towards it I suddenly started recognising things and also remembering road names, I thought I had long since forgotten about. Then suddenly I was standing right outside the shop. 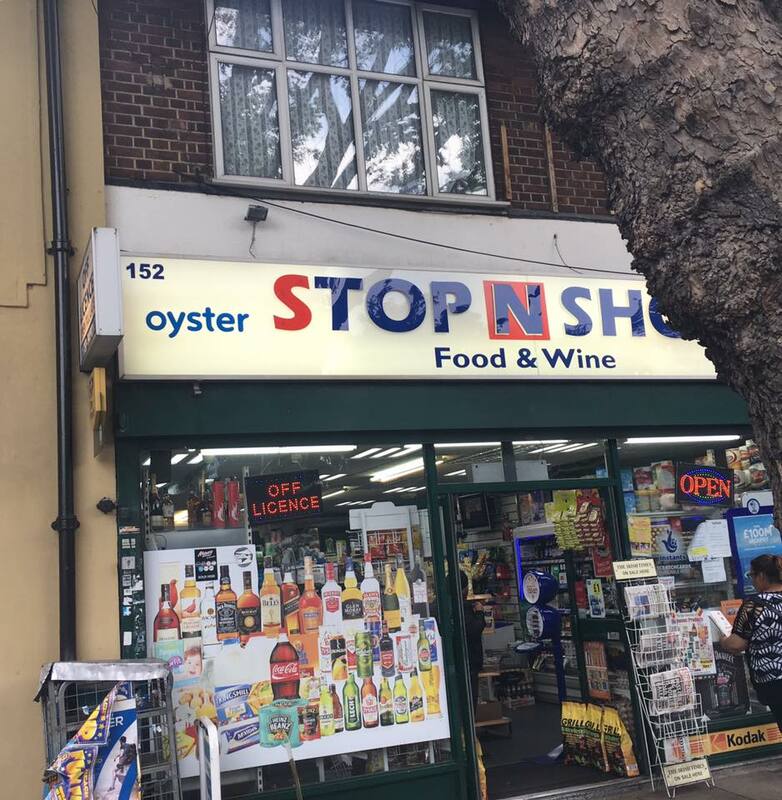 It is an Off License now. It seemed quite weird being back there. The front door to the flat is next to the shop and it still appeared to be the same old wooden door from when we lived there. Which was thirty years ago now. I did manage to get a few pictures of the shop. I did not go in but I could see they had moved the counter and changed lots of things with the interior. It is at an area known as Bush Corner. When my parents ran the shop we did have a couple of celebrity customers. Gordon Kaye and Frances De La Tour used to come in to get their papers. It was nice to briefly re-visit the old place once again. Anyway the reason I was actually in Isleworth was to watch a recording of Harry Hill’s Tea Time Show for Sky TV. It had been a while since I had been to their studios. It is a very nice set up they have there. All very classy. The show features Harry and a guest. During it they make the most ridiculous three course meal. While they are chatting to each other and having a laugh. Then the whole thing ends in a massive food fight. The episode I watched was an Elvis special, so Harry was dressed up as him complete with a very impressive wig. His guest for the evening was Sanjeev Bhaskar. Before they started filming Harry Hill came out and did some jokes, which were brilliant and very funny. I have not seen his stand up show but on this basis I would suggest it is worth a look. 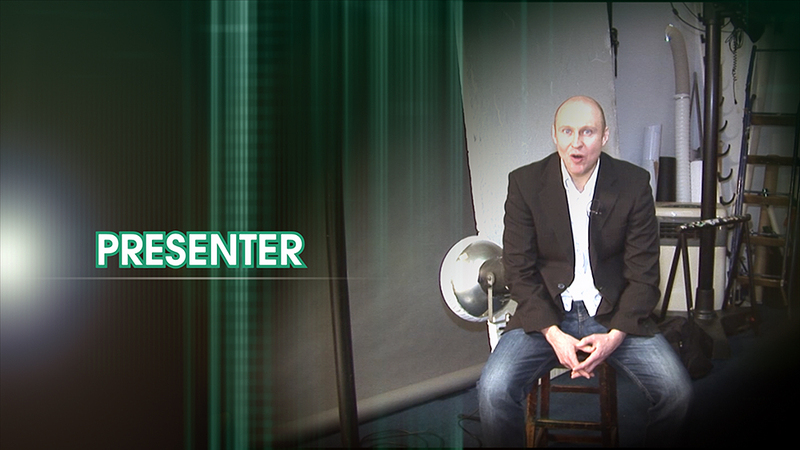 It also features the brilliant Charlie Baker as his put upon assistant. I am not sure when it is on but keep an eye out for it as there is a good chance you will spot me in the audience. For the food fight at the end they pull some one out of the audience to join in. And the person they selected was sat next to me. It was a fun and as you would expect a pretty surreal evening. Also it was good to see Alan Conley on stage management duties. He works on all the biggest television shows and is brilliant. I was at a friends party earlier this year in London, where I was introduced to someone who ran their own restaurant. In fact they were just about to open their second one in the chain in another part of the capital. The original one is only about an eight minute walk from where I work. Now I had been meaning to try it out for ages but not got round to it. 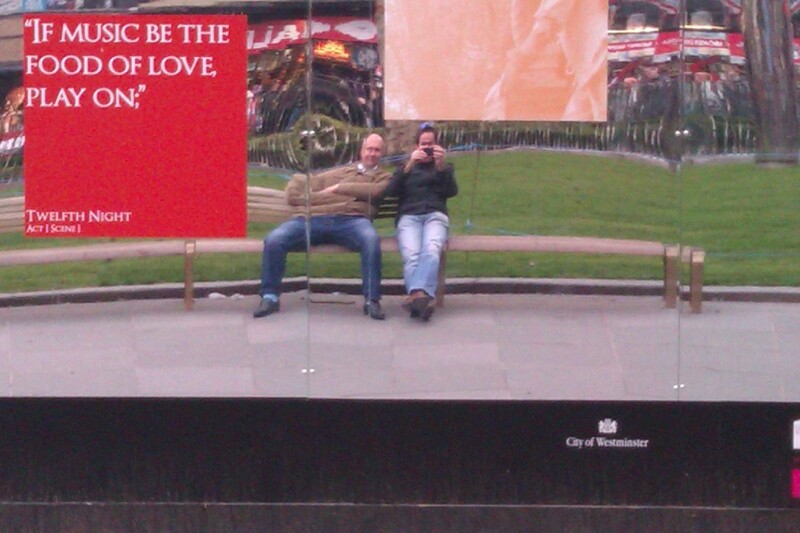 Then last week my mate was in town and met me after work for food, so I suggested we try it out. It is called Calcutta Street and it is owned and run by the ace Shrimoyee Chakraborty. It serves traditional Bengali Street food. So I guess you could say the menu is slightly different to your more conventional Indian Restaurant. But the food there is amazing. A great combination of tastes and flavours. Having a very sweet tooth, as well as sampling the main meal I had to also try one of the puddings of course. Sadly Shrimoyee was not there when I went, as it would have been lovely to see her and personally congratulate her on what a great place she has. I will be definitely going back, as I really enjoyed the experience. Plus it is located in Tottenham Street. Which is a big selling point for me. Last Friday I enjoyed yet another trip to the theatre. 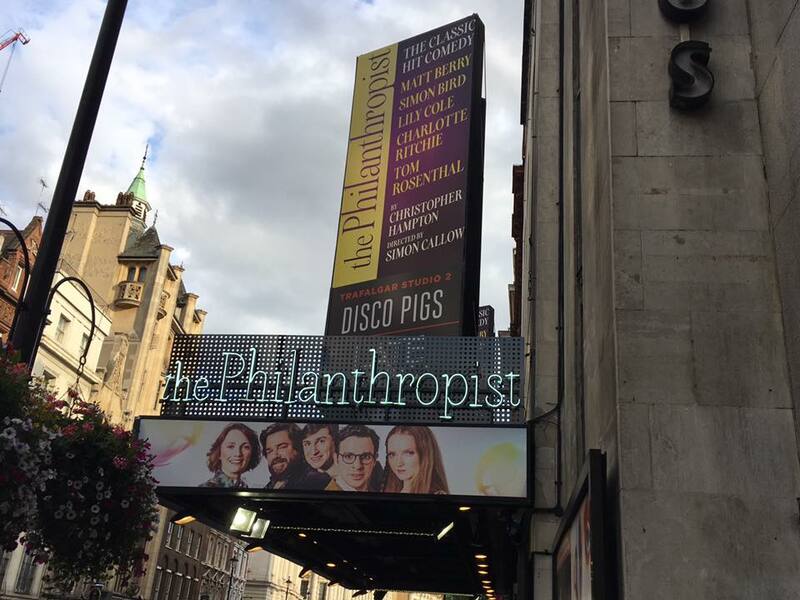 This time I went to see The Philanthropist at the Trafalgar Studios in London. The new version of a classic is produced by the brilliant actor Simon Callow. It boasts a pretty impressive cast list with Simon Bird, Tom Rosenthal, Matt Berry, Charlotte Richie and Lily Cole appearing in it. It is set at an University and centres around the relationship of the two main characters, who are both super intelligent lecturers. It is a comedy, so there are plenty of jokes and awkward moments. The cast do a grand job. Matt Berry gets the award for best costume for his very bright purple suit. It was a nice evening out enjoying some live theatre entertainment. Near to where I live there is a Home of Rest For Horses where a lot of former Police and Military Horses go to retire. It is in a village called Speen. Last weekend they had a Horses, Hounds and Heroes Day. Some friends of mine were taking their children along, so I said I would go and meet up with them. I think the last time I had visited the place must have been about twenty years ago. The stables area did not seem to have changed and it was still pretty much how I remembered it. You can go up to the stables to see the horses, which are all very friendly and will let you stroke their heads. So it is a great way of introducing kids to the animals. 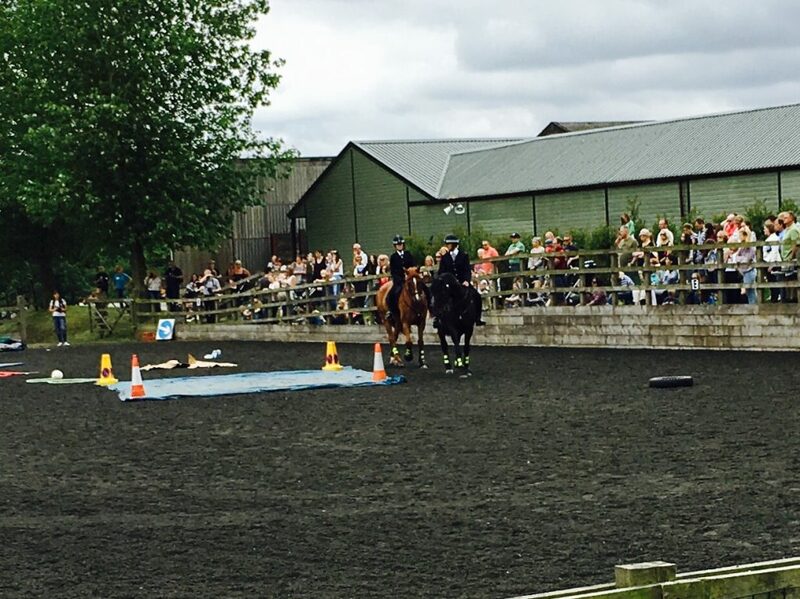 As part of the event they had a main arena set up with Birds of Prey displays, Police horse demonstrations and an appearance from some military gun horses. 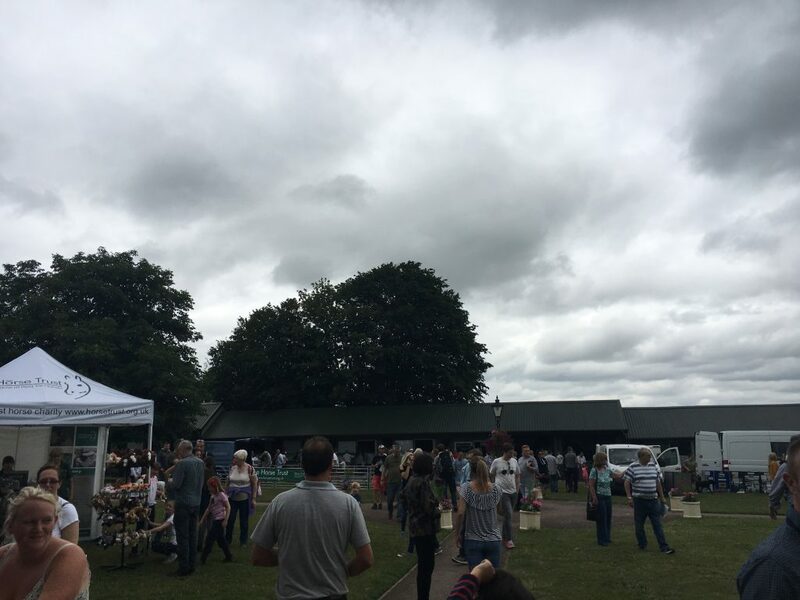 Plus around the site they had pony rides, more birds of prey and emergency vehicles for the children to sit in and have their pictures taken in. It was a really nice and friendly place and the animals are lovely and actually seem to enjoy the company of the visitors. Most of those horses have seen active service and some of them have seen things that possibly still give them flash backs. It was a very pleasant way to spend a Sunday afternoon. Even just for the great views of the countryside that you get from the place. Congratulations to my good friend and former colleague Nathan Cooper who celebrated reaching twenty years at Mix 96 the other week. He joined in the year after it had launched starting on the Evening Show. He has since presented every single show on the station and I am pretty sure virtually carried out every role he possibly could have while he has been there. As well as being a fantastic bloke, he is an excellent presenter, who has now been keeping Bucks and Beyond entertained for two whole decades. He has hosted more firework displays than most people have had hot dinners. 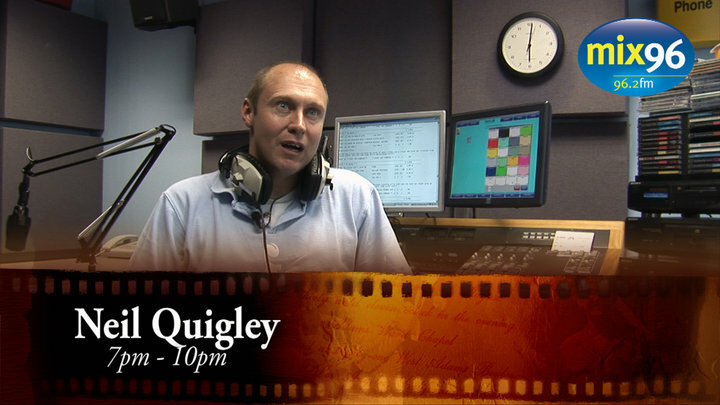 It was a pleasure and an honour to work with him during some of that time at the Aylesbury based radio station. Here’s to another twenty years of Nathan Cooper at Mix 96. Well done mate! We are now around a month away from the start of the Premier League Football Season. I am quite excited about it. As my team Tottenham Hotspur have had a couple of decent years and I am hoping we can push on and improve again this year. One thing that is going to be odd this year is that we are playing all our home games at Wembley Stadium. 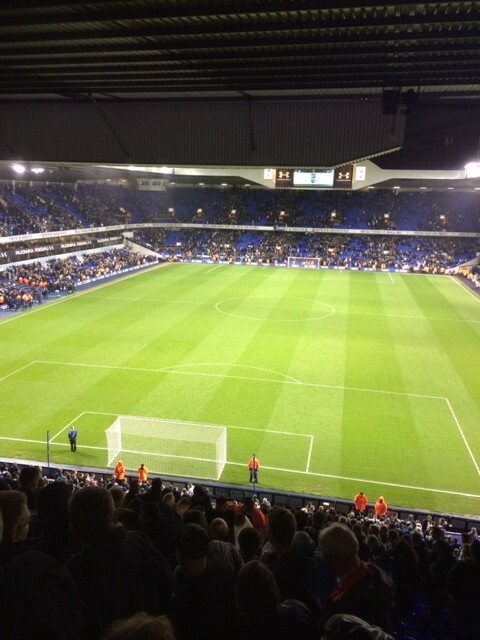 Which from a purely selfish point of view is a lot easier for me to get to and from than White Hart Lane. Therefore I am hoping to get along and see quite a few games this season. It is going to be interesting to see how we cope with these new regular surroundings. I am also intrigued to see who we and the other clubs sign before the transfer window closes at the end of August. 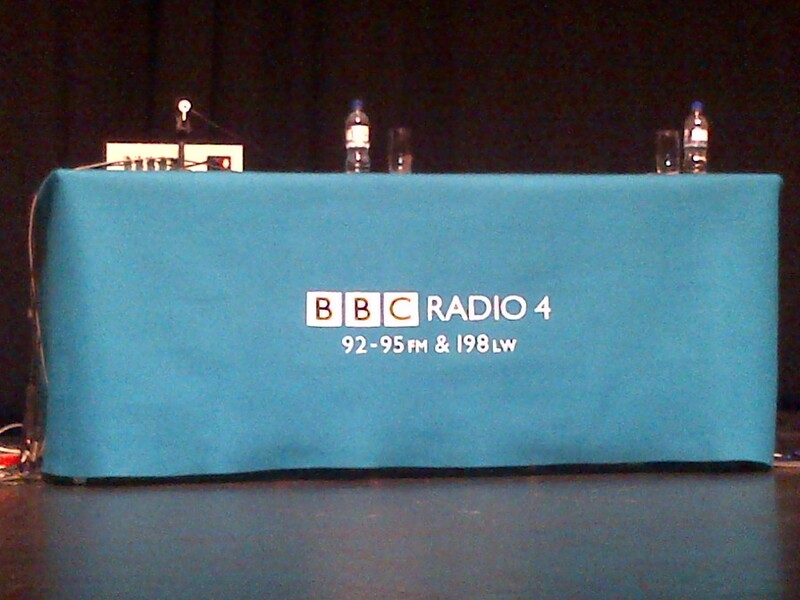 I first wanted to work in radio after hearing Chris Evans do the Radio 1 Breakfast Show. It is a station that I have listened to quite a bit over the years. A couple of weeks ago I got the opportunity to sit in and watch the lunchtime Radio 1 Newsbeat update. It was the first time I had actually been in to the Radio 1 offices. As you would expect the journalists were busy working hard putting the programme together. With the Editor then checking every story before he was happy to accept it was ready for broadcast. It was only about fifteen minutes before the show was due on air that the programme was completely ready to go. It is such a rapid and fast paced update with lots of production. It has to start exactly on time as Radio 1 and Radio 1Xtra both take it. 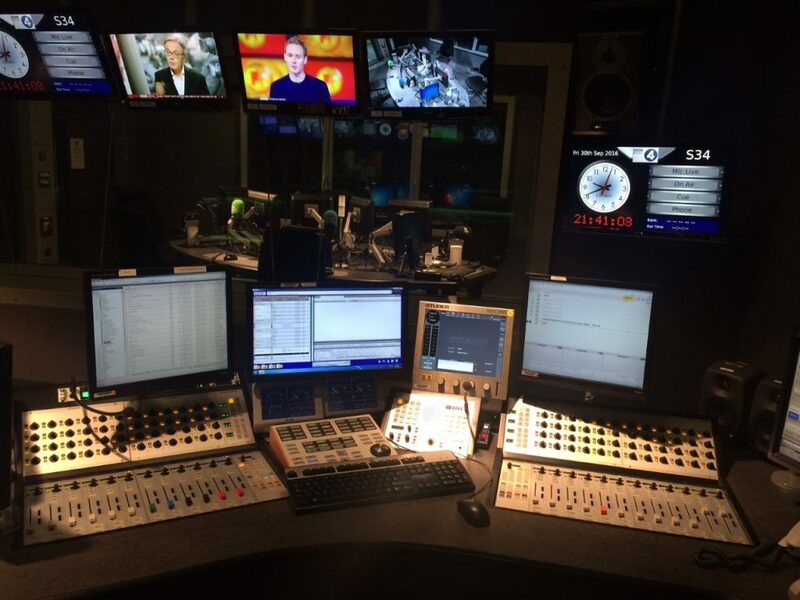 The programme comes from its own purpose built studio and the main stations studios pick it up and play it out themselves. The fifteen minute show really does fly by. It is very slickly put together and is very fast paced. In an average show they will use eight or nine different music beds during the course of it. It was interesting to witness something I had heard on the radio many times over the years, in person. That is the closest that I have got to any Radio 1 output currently. A while ago now I also got to see a bit of Radio Five Live’s Pienaar’s Politics. The host John Piennar is brilliant by the way at keeping the discussion moving and his guests in order. Which is not as easy as it sounds but he does it effortlessly. The guests on the show I witnessed included the comedian Mark Steel, the politician Ian Duncan Smith and the film director Ken Loach. It was not long after the general election, so as you can imagine there was lots to talk about. It was interesting seeing how Five Live works and how it is different in some respects to some of the other BBC Stations. Hi there, how are you doing? I hope you have had a really good couple of week’s. Mine have been busy with a lots of fun things going on. The excellent Tringe Comedy Festival has now just finished for another year. 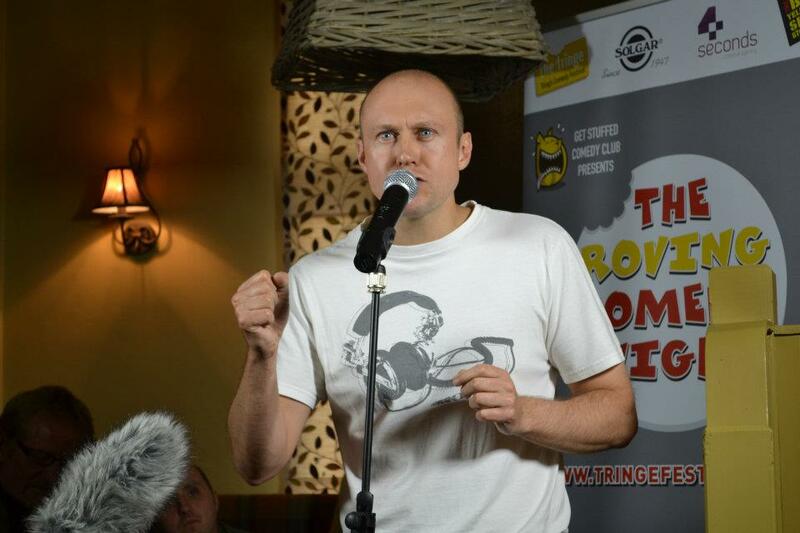 This annual event see’s many of the best comedian’s in the country head down to Tring to perform. Normally work in progress Edinburgh Festival shows. 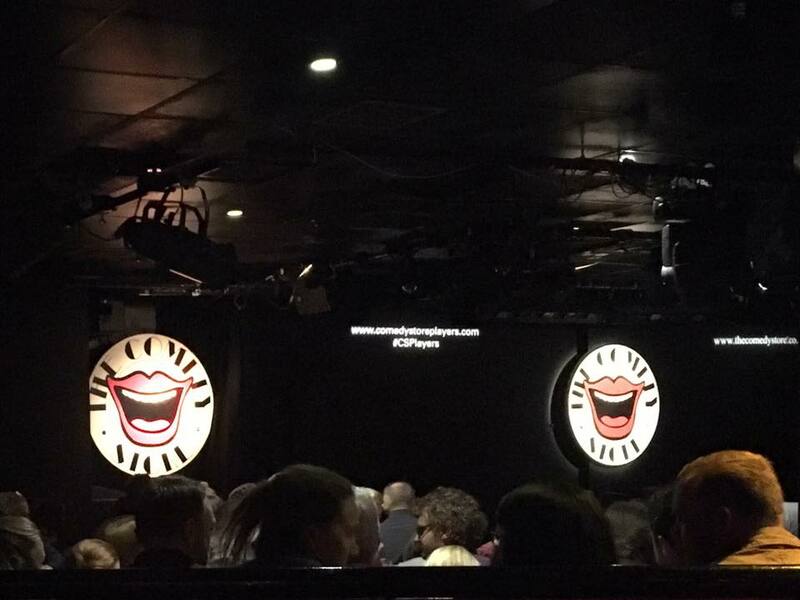 Among the acts appearing this year were Sean Walsh, Mark Watson, Nish Kumar and James Acaster. All of whom I have seen live. It does always attract a great line up of comics. 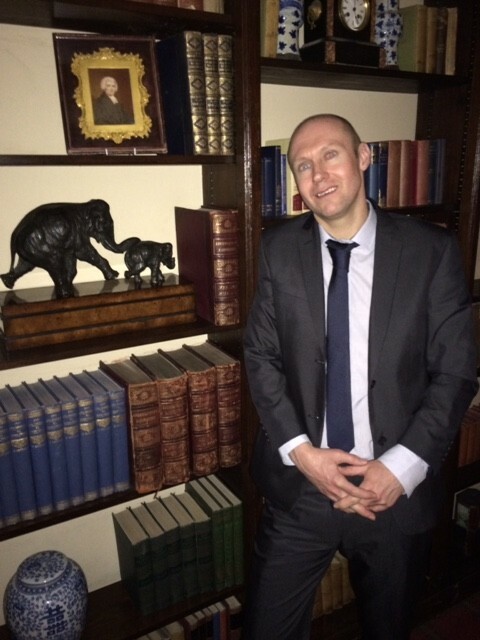 And it is brilliantly organised and put together by the lovely impresario that is Ben Moorhouse. Unfortunately I did not manage to get along and see any gigs there this time round. But the festival does hold a special place in my memory. As it was there where I made my stand up comedy debut. Every year they have a Roving Comedy Night. For people who want to try the dark art of comedy for themselves. You go on an eight week course with the legend that is Logan Murray. Then you are let loose on the good people of Tring. 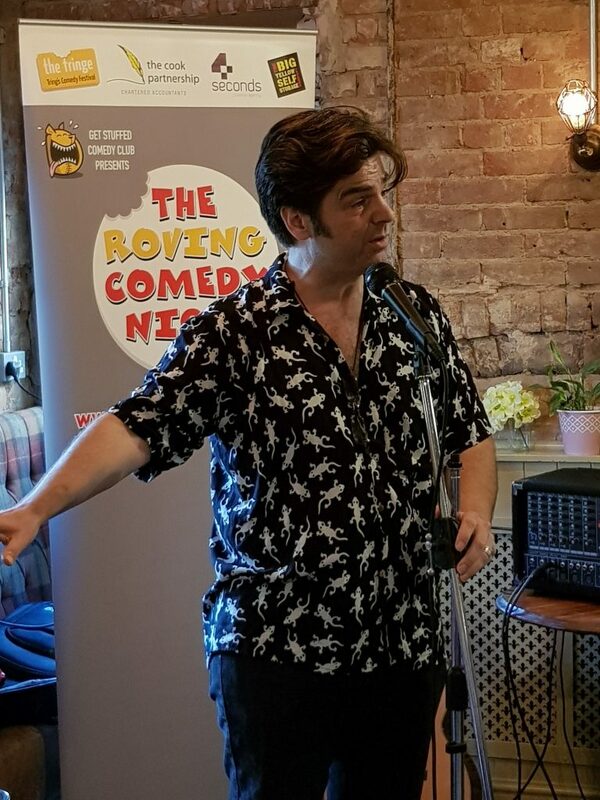 Performing your newly written five minute set in four of the town’s pubs. With a headline professional comedian with you. To close each of your mini shows. That night I got to work with the genius that is Tony Law. Who was totally brilliant! 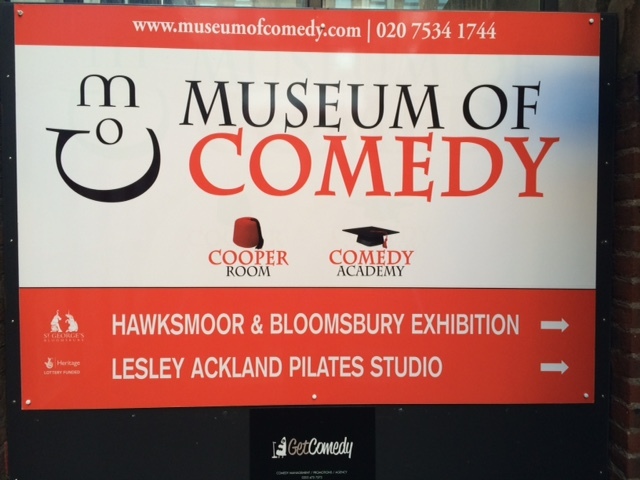 If you have ever wanted to try stand up comedy. I would recommend this course and the Roving Comedy Night. It is an amazing experience. The buzz I got from that night lasted for about two weeks after. Plus I got to meet some great and very funny people. In fact the night of my very first gigs. I got to give the wonderful Silky a lift back to his hotel. 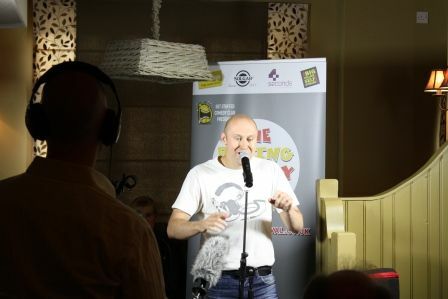 He was a finalist in the first ever BBC New Comedy Awards. He runs his own very successful comedy clubs. And is a top bloke. So night one and I was already giving fellow comics lifts. I still do plan to return to stand up at some point in the future. It is really good fun. Like a large majority of the country. I only really seem to get excited about Tennis during Wimbledon. Whenever that comes on the television. I find it always makes me want to dig out my Andre Agassi racket from the loft. And find a free court to play on. It is a sport I do enjoy playing but do not think about for most of the year. I did go through a stage of playing quite regularly with a mate. But I kept beating him and then strangely the offers to play games suddenly seemed to stop. I did manage to watch a fair bit of this year’s Wimbledon. Including the Men’s Single’s Final. I was delighted to see Andy Murray win his second All England Club title. He is such a dedicated and hard working sportsman. And therefore deserves all the success that comes his way. He has earned it. And that win easily makes him the greatest British Tennis Player in my life time, certainly. 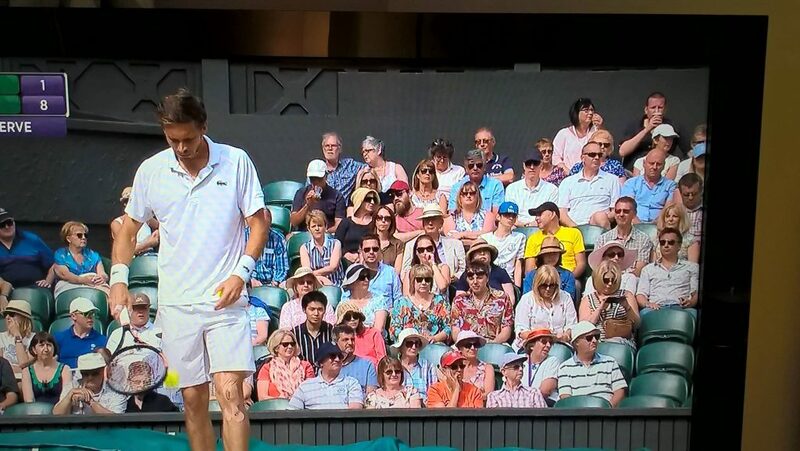 I was very jealous of my Uncle and Auntie who managed to get Centre Court tickets. For Ladies Semi Final day. So they got to see the powerhouse that is Serena Williams in action. What an athlete she is. That is very much on my to do list. To go and witness the tennis live at Wimbledon. Ideally on Centre Court. May be I can be there when Andy Murray wins his third title there next year. 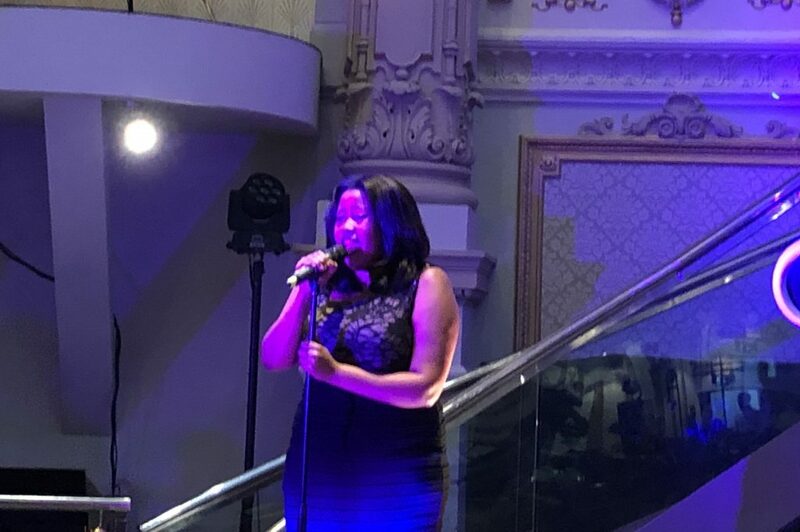 I had a brilliant night the other week watching the stunning Chicago. At one of my favourite venues. 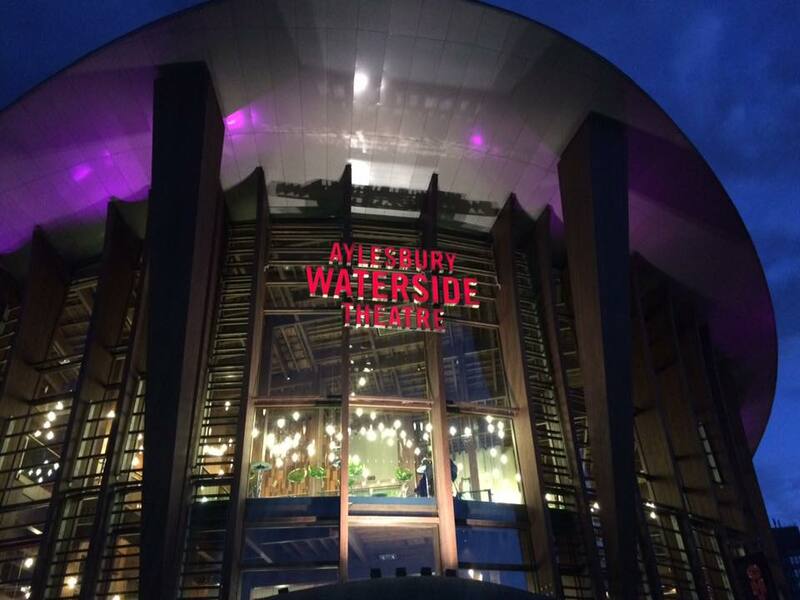 The wonderful Waterside Theatre in Aylesbury. This was a show that I had been wanting to see for sometime. So I was really looking forward to it. And I have to say it did not disappoint. After seeing her at one of the Celebrity Juice recordings I was at. I also really wanted to see Hayley Tammaddon playing Roxie Hart. She was hilarious on the show that night and brilliant on stage in that role to. She really did make it her own. And put her own stamp on it. She has a fantastic singing voice. Which I guess, always helps in a musical. The whole cast were excellent. It was very well put together, the staging, sound and choreography were all fantastic. The character I think I can relate most to, is of course Billy Flynn. Who was perfectly portrayed by John Partridge. He was so good from start to finish. And he can hold a note for such a long time. I reckon he would seriously give Bill Withers a run for his money. The orchestra are actually on stage and fully in view. They really do get involved and add to the fun and enjoyment. In fact I think a few of them may be a little bit crazy. There are some nice surprises in it. A very enjoyable show. Performed by a great company. I am very pleased I went along to see it. Great fun night. It has been a theatre packed fortnight for me. 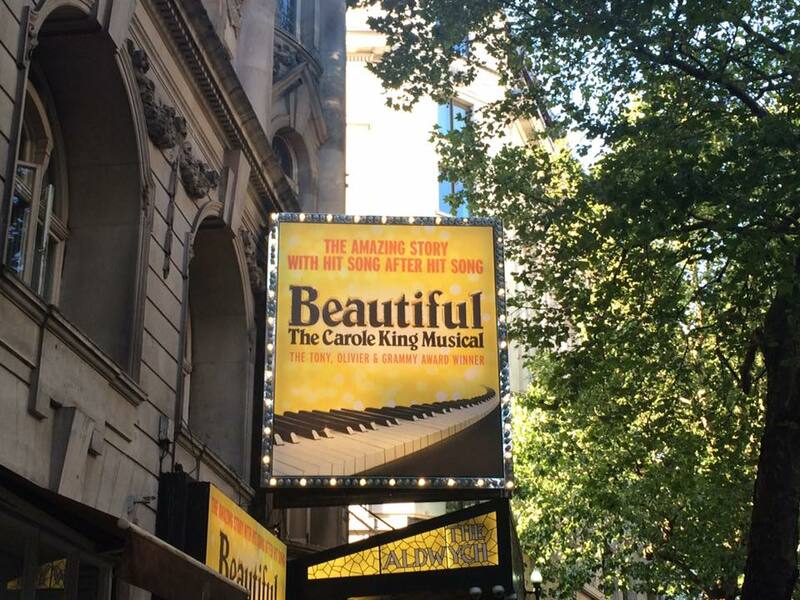 As I also went and saw Beautiful The Carole King Musical at the Aldwych Theatre in London. This was another show that I had heard great things about. And had been wanting to see for a while. It was brilliant. It is really fast paced and very slick. And it tells the amazing story of her life and career. In a very clever and direct way. But the best thing is the amount of excellent songs in the show. Most of which of course were written by the subject of the story herself. These songs by the way are all brilliantly performed by the fantastic cast. It is just huge hit song after huge hit song. Mixed in with the different stages of the great singer and songwriter’s life. Cassidy Janson is sensational in the lead role. And totally nails all of the amazing songs. That she gets to sing. It was again another lovely night out at the theatre. I love live performances. So much more engaging and fun than just watching stuff at home on the television. I like to think that I know quite a lot about music. But even I had moments a couple of times during the night when I was thinking “I had forgotten this one was a Carole King song”. She does have such an amazing back catalogue of classic songs. And bearing in mind a lot of these came out of. In effect a music factory style environment. In many ways makes that more astonishing, I think. Some bands go away for years to write their albums. She and her writing colleague’s had to deliver songs. Like they were working at a car plant. Virtually on a daily basis. Her debut solo album Tapesty was huge. And packed full of timeless classics. She was in a way the 60′ s and 70’s answer to Adele. Great night out. Seeing yet another excellent West End show. Staying with musicals. I am very excited that I am going to see Sheridan Smith star in Funny Girl at the Savoy Theatre in London on Monday. I have been a big fan of hers for years. I have always wanted to see her perform live on stage. So I can’t wait. I have been following her career from the start. All the way from the Royale Family, Two Pints of Lager, through to Gavin & Stacey and her excellent portrayal of Cilla in the ITV biopic of the singer’s rise to fame. I will report back on the show next time we speak. One of my former radio stations Mix 96. Just happened to be in the town where I live. As part of their Summer Tour last week. So I thought it would be rude not to pop along and say hello. Over the years I have spent several spells working there. And it was actually where I had my very first taste of a radio studio. When I did a week’s work experience there. When I was at Aylesbury college. Funnily enough one of the presenters who I met that week Max Hailey is now the Managing Director. A few years after that initial visit. 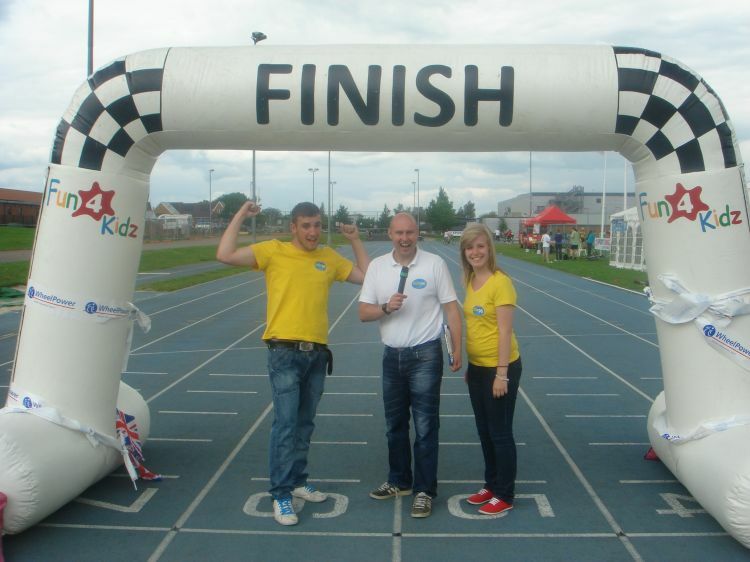 I was back helping out on the Saturday Sport Show. Phoning up the local football teams to get the scores. And then reading out the results on air. From here I progressed to doing the Sports Show myself. 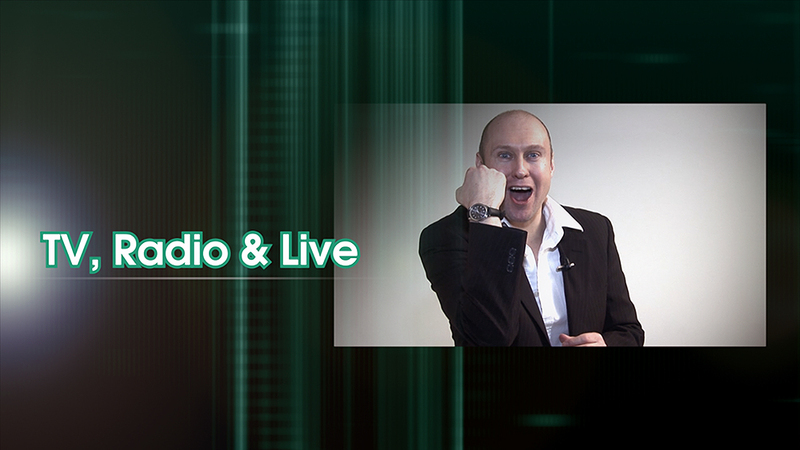 Before that though my first ever show on the station was a one hour show on a Sunday morning. Which I covered for just one week. Which was equally exhilarating and terrifying but great fun. That was really my big break in radio. The next step was to cover a few weeks worth of the Evening Show. Then this eventually led on to me doing six months on the Drive Show. Before then doing three months on the Morning Show. 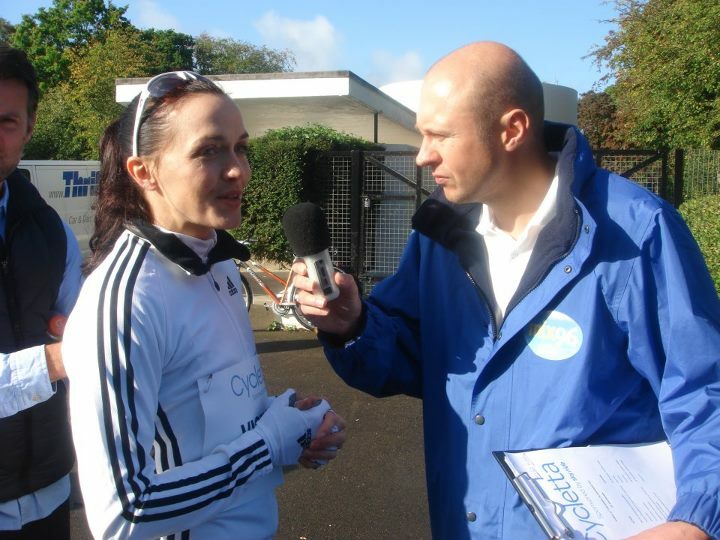 I then just dropped back to doing Saturday Sport at the station for a while. Before a year later returning to do the Morning Show for another six months. Then after five years in Somerset. I returned initially for a Saturday Afternoon Show. Which then led to me doing the Evening Show. For a couple of years before leaving the station. Anyway it was really nice to catch up with someone I have known for many years. 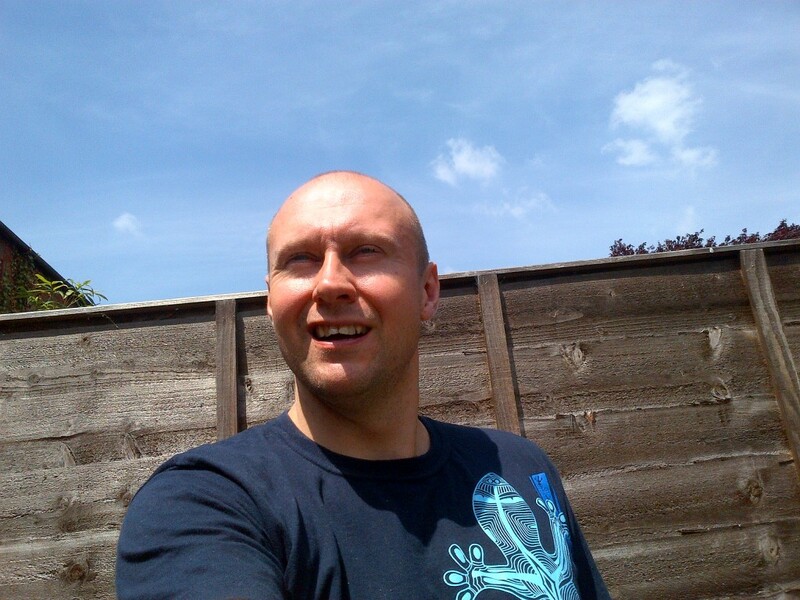 As he has been at Mix 96 for quite some time himself now, Nathan Cooper. Good to have a chat and see him in action. We have done a few outside broadcasts together over the years. And it was also nice to see Darren Scott. Who I worked with during my last spell there. Mix 96 is a excellent radio station. So it was nice to see them out and about doing their stuff. It was a good giggle to see everyone. 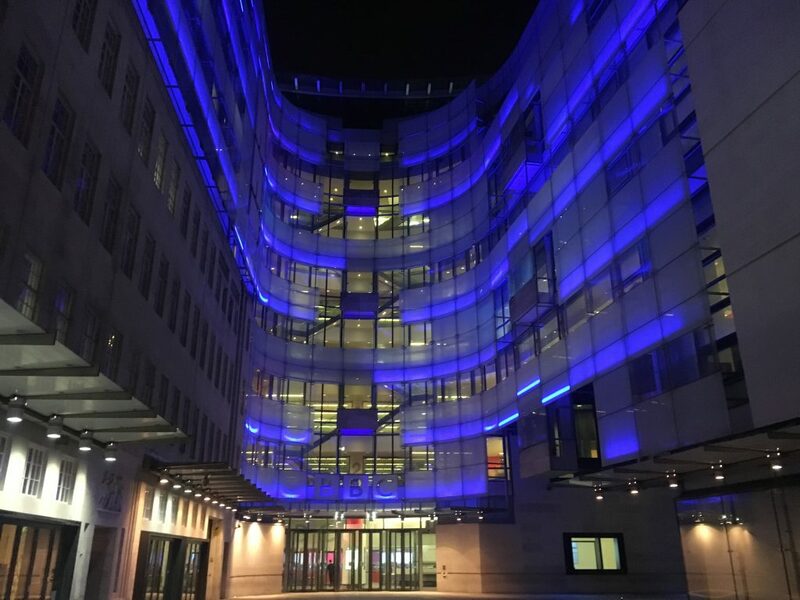 I am really enjoying working with the BBC in London. Being around such talented and dedicated people is fantastic. 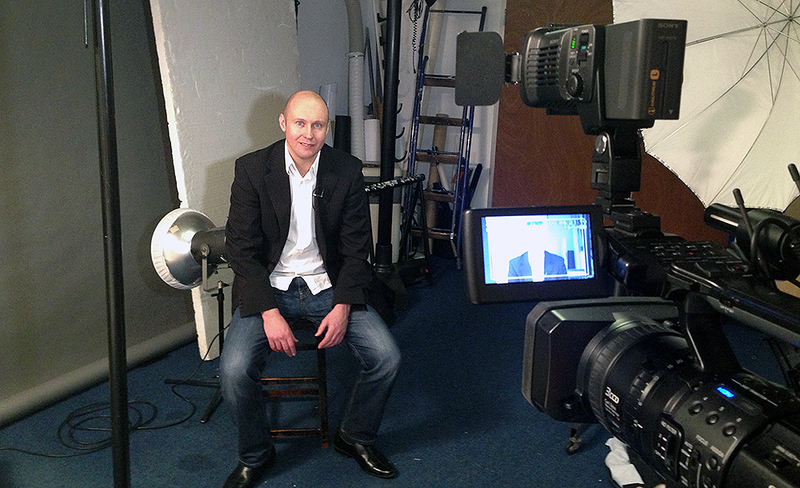 It is fun and very fulfilling being involved in the production of some excellent programmes. There is also the added bonus of you never know who you will bump in to. Everyday while you are there. Plus thanks to The One Show studios being there to. You also never know. Who might just be performing live outside the building. For example last week as I was on my way home. Bryan Adams was performing his latest single with his band. And for the record he sounded sensational. Previously James Bay was serenading me as I was leaving. 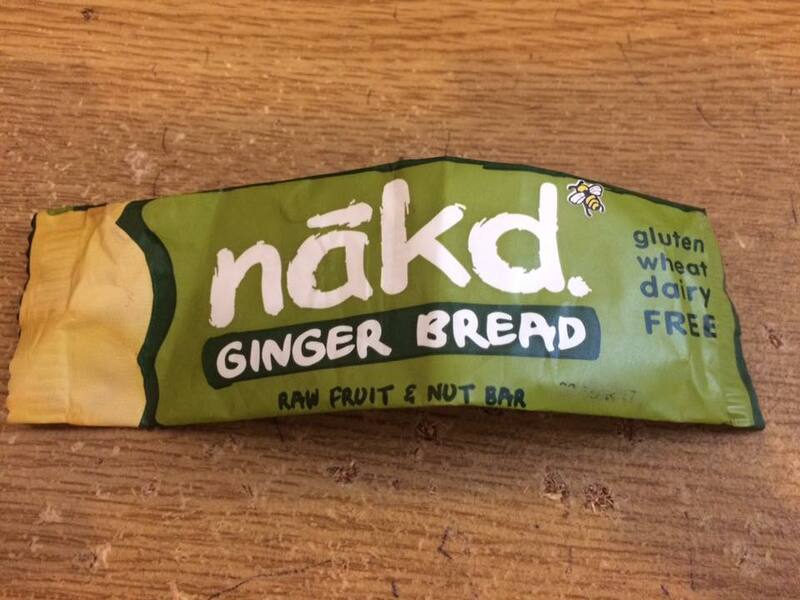 I recently tried my first ever gluten, wheat and dairy free health bar. Which although I appreciate that it was probably very good for me. I must admit I personally thought it tasted horrible. If you are unable to eat these food groups. You have my sympathies. It confirmed what I already know. Despite the fact I do try to keep fit and healthy. And also eat quite well. I do really love bad food and the things we shouldn’t eat. They taste so good. Tomorrow afternoon I am going to a family party. Which is taking place in a pub beer garden with a BBQ and some live music performances. That is basically my perfect Sunday. Hopefully the weather will be nice. You will never find me complaining that the weather is too hot. I do like it nice and warm. During the year we have enough cloudy and wet days. So anytime the sun is out and the temperature is high. I am very happy. Plus I am a great sleeper, so no matter how cold or hot it is. I still sleep fine. I have two settings in life. I am either on (awake) or off (asleep). Hi there, how are you doing? I hope you have had a good couple of weeks. Mine have been brilliant with lots of fun things going on. In fact they have flown by so quickly. Although the seasons and timings of things in England do not help with time I find, they just cause confusion. For example July is considered to be the start of the Summer. Even though we have already had the longest day and so the day’s are now getting slowly shorter again. The children are just breaking up for their long school summer holidays (which I used to love as a kid). At the same time that we are getting ready for the start of the football season, which kicks off in August. All this while the England cricket team are battling the Australian’s for the Ashes in cricket. All the seasons just seem to blend in to one another. I think we could do with may be re-classifying them. To set out new months where the seasons start and finish throughout the year. 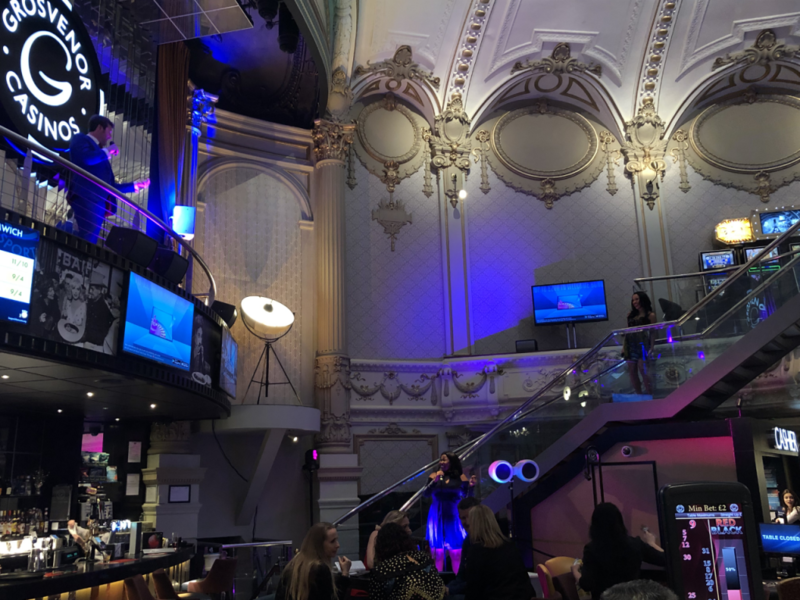 I headed off to the Wycombe Swan Theatre the other week to see a new touring music show called Ladies Rock. It is the brainchild of and fronted by Australian singer Nicki Gillis. Who backed by a four piece band and a backing singer takes us through a musical journey of women in music from the sixties right through to the early noughties. Or to put it another way from Connie Francis through to Pink. As she performs these amazing songs from these iconic women pictures of them are projected on to the back of the stage behind her. To add to the sense of occasion. It is not a tribute show. So it is their interpretation of these ace numbers rather than an impression of these great singers. Nicki has a fantastic voice. Which is required to be able to perform the classic songs that the show contains. The selection of singers and songs covered is like a whose who in the world of female musical super stars. You will know and love all of the hits you will hear. 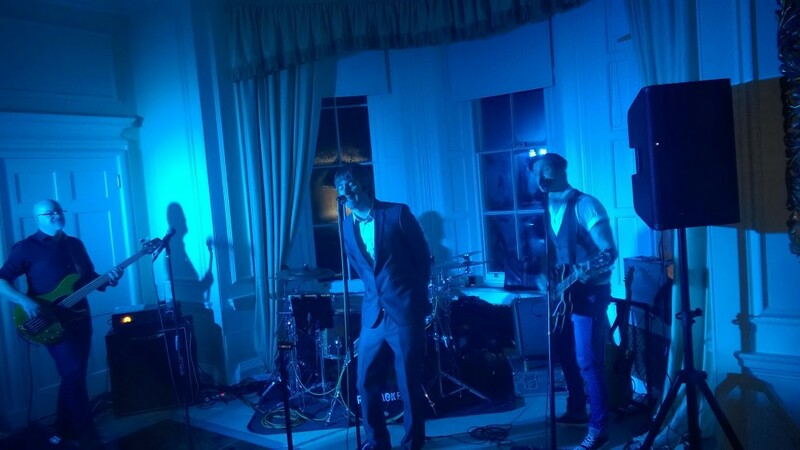 The band are also top quality and they do compliment the lead singer perfectly. The overall performance has a very relaxed and all inclusive feel to it. 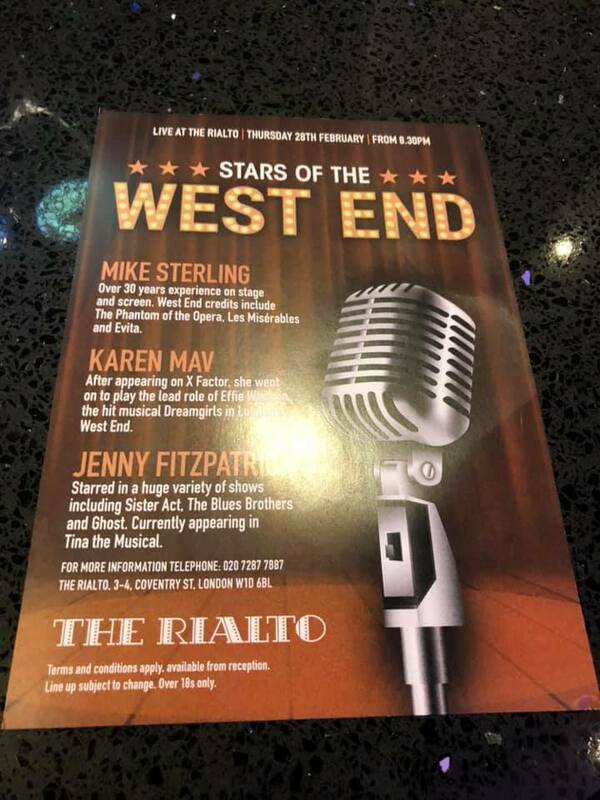 If you fancy a great night out reliving many great tunes. I would recommend you keep an eye out for Ladies Rock. When it comes to a venue near you. 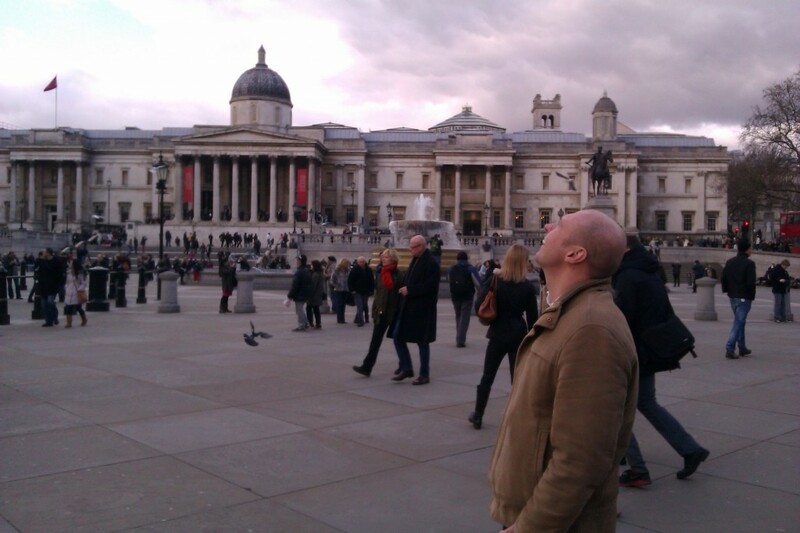 I was back at one of my favourite places a few Thursday’s ago. 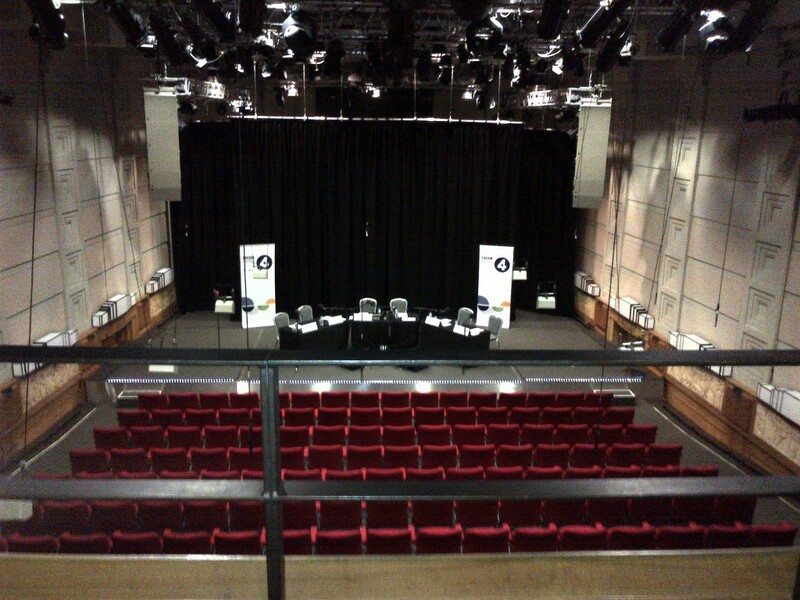 When I went to the BBC Radio Theatre at Broadcasting House to see a recording of the excellent Radio 4 Topical Comedy The Now Show. 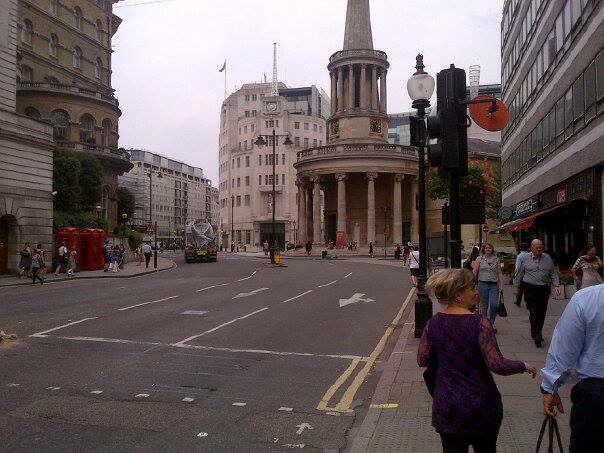 I arrived a little bit early, so I went and had a cup of tea in the Coffee Shop right opposite the One Show studio. I was pretty pleased when the person serving me asked if I worked for the BBC. I believe they may get a slight discount there. I told the truth and said no. But a little part of me was quite pleased that the bloke behind the counter thought that I could have worked there. Before I went in to theatre a managed to grab a quick cup of tea with my mate Danny Cox. Who had managed to pop downstairs briefly for a quick catch up before he had to head back to his studio for his next show. It was great to see him and have a good old natter about the world of radio and television. The Now Show itself was as ever brilliant. Steve Punt and Hugh Dennis are such good comedy writers and performers. Especially when it comes to satire and clever topical gags. Which is why this radio show is such a brilliant vehicle for them. They were of course ably assisted by the regulars Mitch Benn and Jon Holmes. Whose introduction’s diminishing his height are becoming more and more obscure. Coming to see things like this made at the radio theatre is the closest I will ever get. To being able to get a flavour of what it must have been like to see things like The Goon Show being made, I guess. The Now Show was created by the legendary Bill Dare. Who has had a hand in so many great radio comedy formats over the years. Pick your favourite Radio 4 show and there is a good chance that he was involved in it. I do like the atmosphere during the recordings. A few of the cast have a beer on the go and seem to be enjoying just sharing all the material that they have spent the last couple of days writing and rehearsing. Some of the funniest parts of this process are during the re-takes at the end. This is mainly due to the cast making fun of the ones who have to re-do stuff. While still it is fair to say remaining professional and getting the job done. As quickly as possible. It is always a good fun night out. I was once again delighted to be asked to take part in another Quiz Show run through last week. They are always great fun and it is quite exciting when you get to try out new games and formats. That have not yet made it on to our television screens. 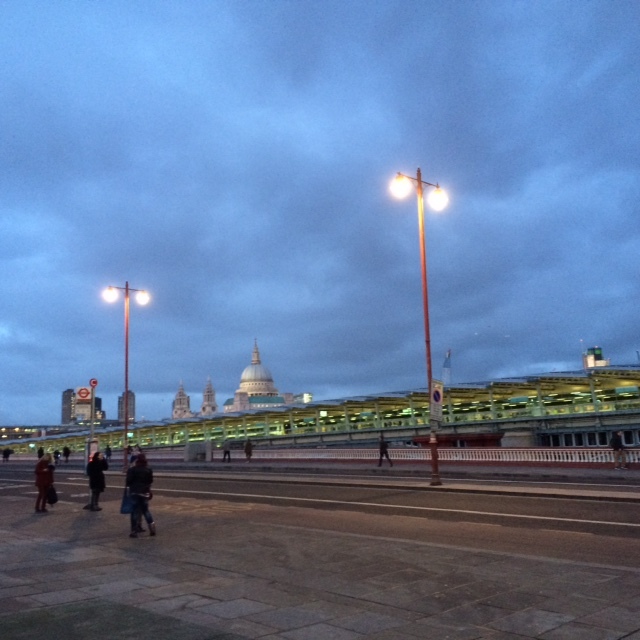 It meant another visit to the ITV London Studios on the South Bank. 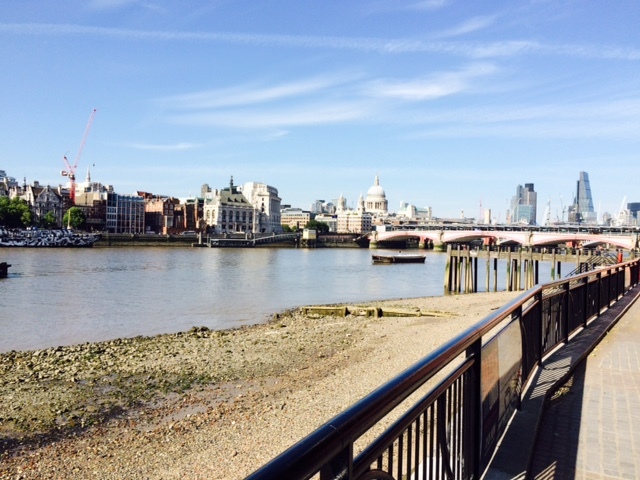 I was watching This Morning doing a segment of their show from outside by the Thames the other week. When live on air they saw the Prime Minister go past them on a training fitness run. This annoyed me quite a bit, as I can’t stand people who try to run round that area. Surely they must know that it will be jammed full of people and that they will spend more time walking than running. Can’t they just find a nice field or park somewhere to run around. Anyway sorry, back to the quiz run through. It took place in a room on the 14th floor, that I am guessing may also be used as the Saturday Night Takeaway production office. As it had lots of great pictures on the walls from the show. Including a brilliant one of Ant & Dec with Kermit the Frog and Miss Piggy. The run through was in front of some executives from ITV. Who will hopefully be interested in making the programme and putting it on the television. Obviously I can’t give anything away due to the confidentiality agreement that I had to sign. But I think I can say that it was a fun and exciting game to play. And that it is a very clever and completely new concept for a game show. A French television company have already filmed a pilot episode of it. Which we got to see a few little clips of. It looked great. If it does ever make it on to the television. I will then be able to tell you more about my input and the game itself. It is a really good laugh doing these test runs. So hopefully I can squeeze in another one soon. The great thing about Radio 4 is that it is always on the look out for new comedy programmes by new or established writers. Last week I went along to The Shaw Theatre in London to see two episodes of a brand new radio sitcom called “Shush” being recorded. Set in a library. It is written by and stars two actors that I am sure you will recognise. They are Morwenna Banks and Rebecca Front. They play two librarian’s from very different backgrounds and with very different outlooks on life. It is very cleverly written with lots of great quick fire jokes. It does get slightly surreal in parts but it is radio and therefore theatre of the mind, so just go along with it and you will enjoy it. The cast is completed by Horrible Histories’ Ben Willmond and velvet voiced actor Michael Fenton Stevens. The writing is brilliant and it is a fun and feel good comedy in a fairly traditional way with a nice modern edge to it. The cast are so talented and performed it brilliantly. Do listen out for it when it airs sometime later this year. It was great to be back in the Mix 96 Studios for a couple of days the other week. I was there helping to produce a small part of the very successful Mix 96 Summer Tour. It was good to see some old friends and familiar faces, while I was at the Friars Square Studios. 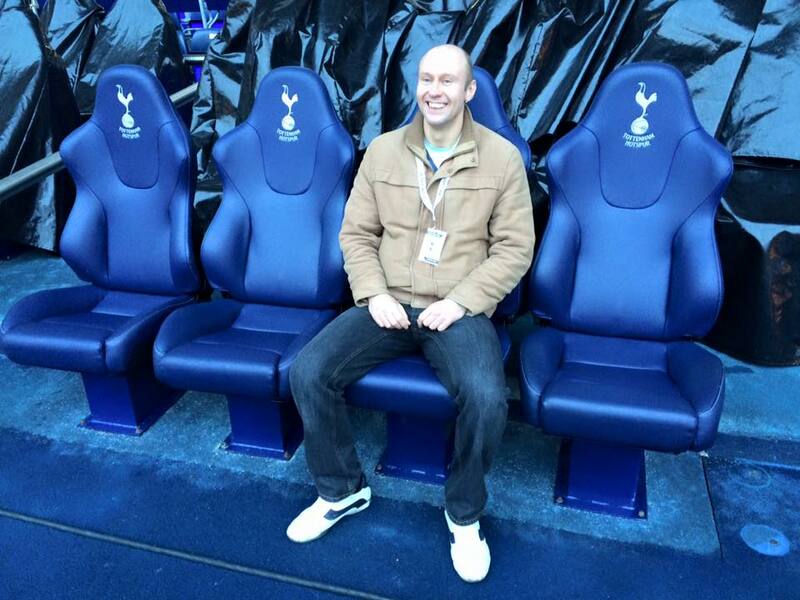 I actually felt very at home being sat back in the hot seat there. It was nice to work with Wes Venn and Chris Gilvear for the first time to. The good news is that everything came back to me pretty quickly and it was fantastic to be involved with some live radio again. I am always looking for new opportunities in this area. I still remember doing my work experience when I was at Aylesbury College for a week at Mix 96. And I also was at the Mix 96 First Birthday Party at Stoke Mandeville Stadium with the now Managing Director of the radio station Max Hailey. I really do enjoy it, when I do get to do a bit from time to time. Great fun. I have yet again been spending quite a bit of time working at Wembley Stadium recently. 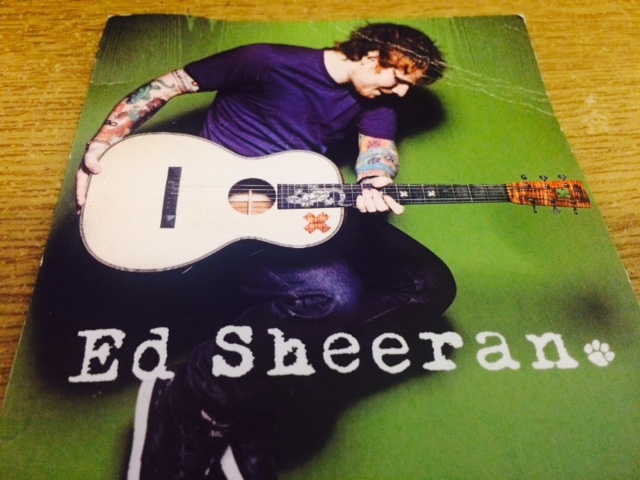 I have to say congratulations to Ed Sheeran for playing three sold out shows at the venue the other weekend. The reviews for them were off the scale. As it is pretty much just him and his guitar up there. The fact he keeps the crowd so engaged is a huge tribute to the man’s talents. Two hundred and forty thousand people saw him play those three London gigs. Well done sir! I have to admit I do not envy the groundsman at the minute. The pitch being covered for concerts does not exactly do it much good. 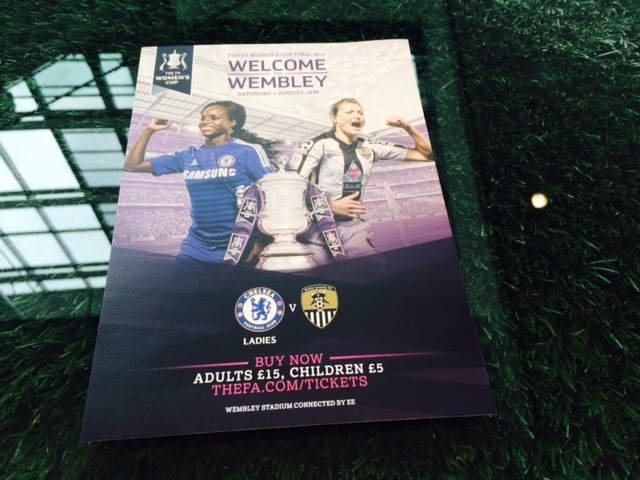 So now it has to be ready and in perfect Wembley condition for Saturday 1st August for the Women’s FA Cup Final between Chelsea and Notts County. And for the day after for the official curtain raiser to the new Premier League Season the Community Shield between Chelsea and Arsenal. I am looking forward to monitoring its progress over the next couple of weeks. It is mazing how quickly they can get in back to top class condition. I am enjoying showing lots of people around our national stadium. It does look great in the sunshine. Had a really fun night at a friend’s fortieth Birthday Party last weekend. 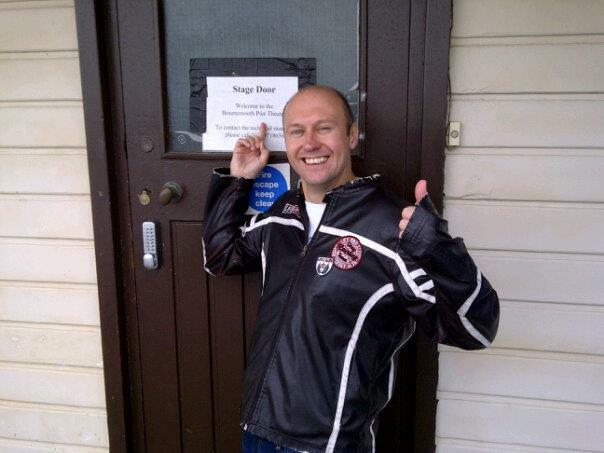 It was held at a lovely little venue in Thame. A back room to a pub that I have not been to for about five years. Nice to catch up with a few old school friends and have a good giggle and a bit of a dance. Then the day after I was at a leaving do for a couple I know who are moving to France. So again that was a decent laugh seeing friends that I had not seen for a while. I do like to be busy but it is also good to find time to chill out and relax with people you like. So just for a laugh I have entered the BBC New Comedy Award for 2015. Which if nothing else seems to me like a good reason to get involved with it. If you look at its title. I had some jokes lying around and the means to record them in my home studio. So in my head it made sense to give it a go. I remember listening to the final of last year’s competition live on the Steve Wright Show on Radio 2. 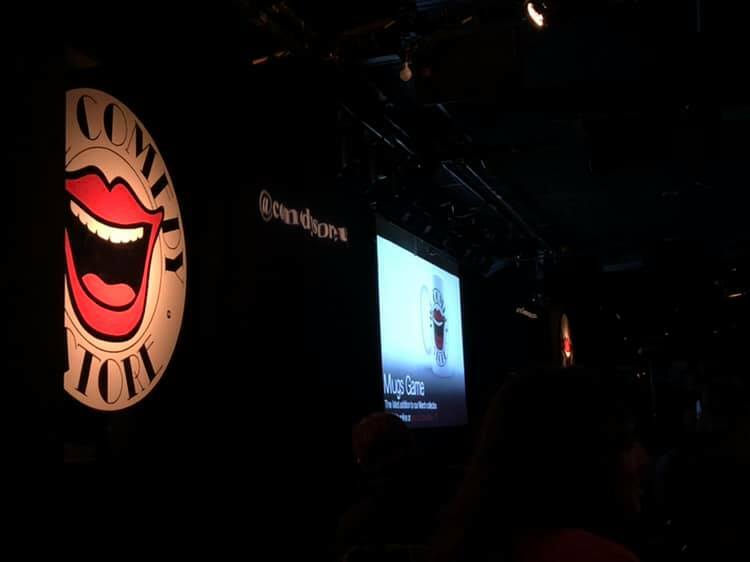 It came live from The Comedy Store in London and was hosted by the great Patrick Kielty. The comedians in the final were all great and the standard was clearly very high. But at the end of the day you have got to be in it to win it. And you never know funnier things have happened. Last week Mr Kielty favourited a joke of mine on Twitter, which I am hoping might be an omen. Fingers crossed. This is actually the 99th edition of my blog. So therefore the next one will be the landmark 100th edition. So make sure you do not miss out on that one! Have fun and we will catch up again in a couple of weeks. Cheers Neil. Hi there, how are you doing? I hope you have had a good couple of weeks. Mine have been great fun and I have managed to get up to some pretty cool stuff. I will tell you all about that in a bit. But first Happy Valentines Day to you. I really hope my postman will not have to take six weeks off work again this year, after giving himself a hernia delivering all my cards last year. To be honest I have never really celebrated it much myself. Surely you should show love and appreciation every day of the year and not just once every three hundred and sixty five days. That said a lot of my friend’s seem to make an effort, as pretty much all of their first born children arrived in November. You do the maths. One Valentine’s Day does stick in my mind though. 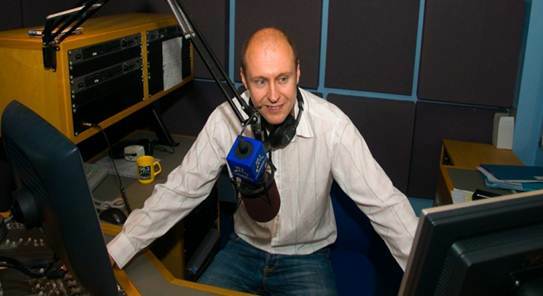 It was Saturday 14th February 2009, when I presented my last show in Somerset at Midwest Radio after spending five years broadcasting in the West Country. They did not even send me some roses or give me a box of chocolates. 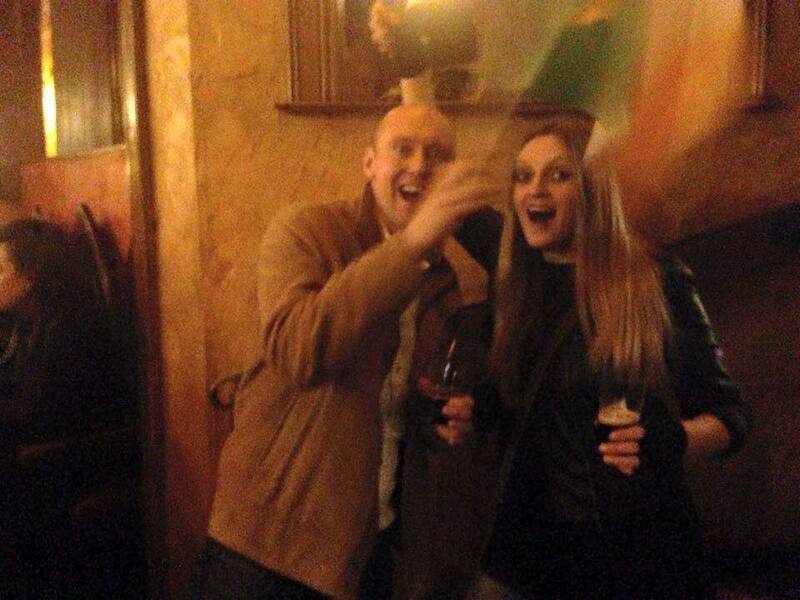 Although to be fair we had been out for my leaving do the night before. 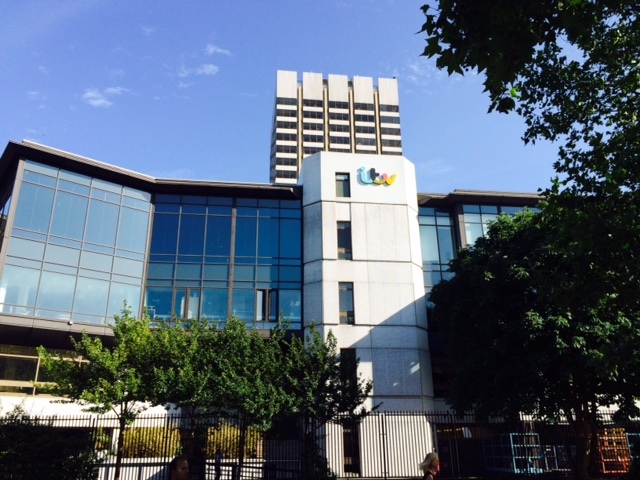 I few weeks ago I went to see the first episode of a brand new ITV 2 show called Reality Bites being filmed at The London Studios on the South Bank. It is a new comedy panel show based around reality television. It’s hosted by the excellent Stephen Mulhern with team captains Emma Willis and Joel Dommett. They just talk about reality programmes and then play some silly games. Which also sometimes feature current or former reality television stars. In the show I watched, Emma Willis was joined by Jimmy Bullard and Joe Lycett and on Joel Dommett’s team were Bruno Tonioli and Luisa Zissman (who apparently was on the Apprentice and Celebrity Big Brother but I have to confess I had never heard of her). By the way if you think Bruno is over the top or unpredictable on Strictly Come Dancing you should have been there to witness this. He was great value and very funny but man he has got some energy. He will not sit still and if you are looking for an innuendo, he will give you one. They had three special guests on the show to help play some of the games. These were White Dee from Benefits Street, Charlotte Crosby from Geordie Shore and Alex Sibley from Big Brother three. It was a great laugh in the studio, everybody was on good form. 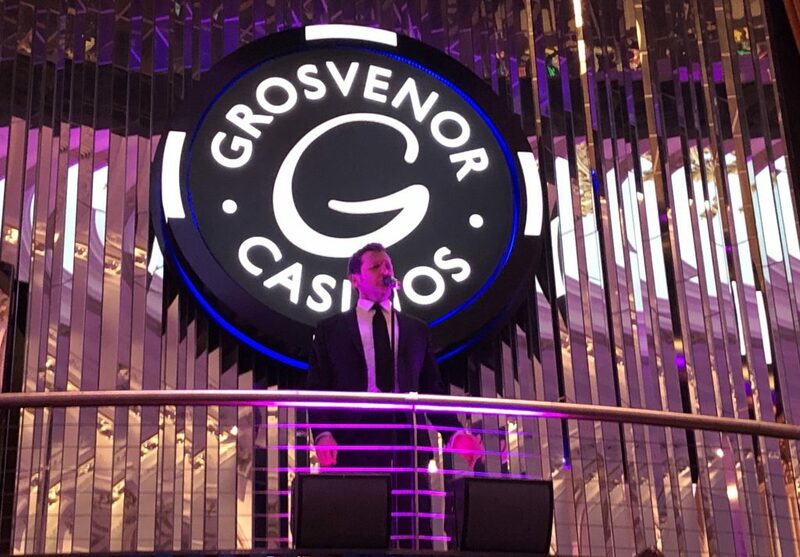 Stephen Mulhern did an ace job steering the ship. And the three hours we were there during the filming passed by very quickly. I would like to congratulate the producers and the editors, who some how managed to edit it down to a fifty minute programme. Which was then broadcast on ITV 2, two days later. As ever with these things some of the funniest bits on the night never made it in to the show. In some instances because they were unsuitable for broadcast, even after ten thirty at night and on ITV 2. Let us just say we learnt quite a lot about some of the members of the panel. Much more than we really wanted to know. 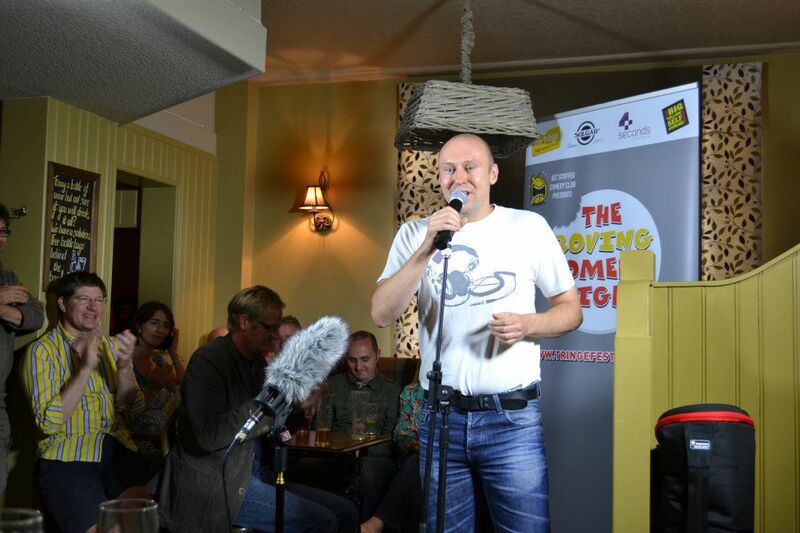 The warm up man for the show was the brilliant comedian and entertainer Andy Collins. Who as ever did an excellent job. Making sure that the audience were primed and ready from the start and kept focussed and amused during any short breaks in filming. I have been lucky enough to meet him on quite a few occasions in the past. So it was really good to be able to have a very quick chat with him as I was leaving the studio. 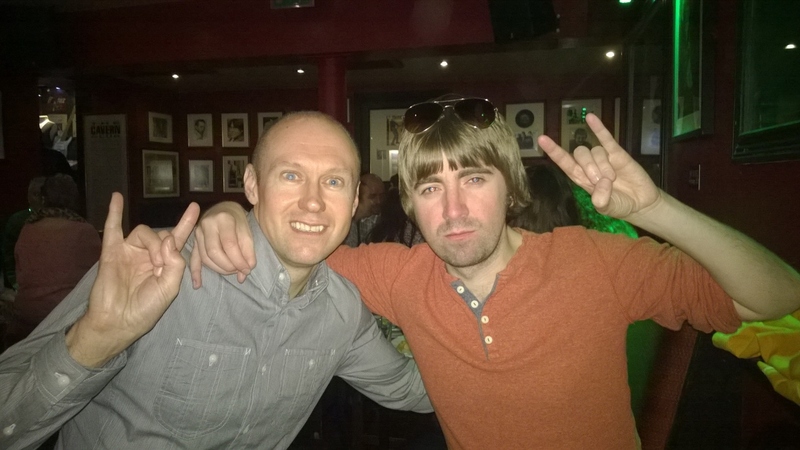 I met up with a good friend of mine the other weekend for a few days of reminiscing, catching up and partying. I met him when he was working at Mix 96 in Aylesbury. He joined the station fourteen years ago and was there for around two years. So it is now twelve years ago since he left. As he is from and lives in Liverpool he had not been back to the town for quite a few years. So a few Friday’s ago Jeff Nolan ventured down from up north. And we met up in Aylesbury to have a look round the place and talk about the old times. We were joined for a chat in a coffee shop by another former colleague of ours Richard Carr. Before the three of us then went to Mix 96 to meet up with Nathan Cooper. And have a look around the studio for old times sake. It was really nice to see everyone and see the station doing so well to. While I was there it was good to have a quick chat with Chris Maskery. Who I have to say has grown the most extraordinary beard since I saw him last, it is huge. Before we left Aylesbury Jeff and I grabbed a bite to eat in a venue that under its previous guise, we had both watched Alexander O’Neill and the Three Degrees perform there. Our next stop on our crazy weekend tour was Bicester. Where we had booked in to a small bed and breakfast above a pub to stay for the night. After attending a Birthday Party that evening. The party was being thrown by Stuart Hosking, who was of course famously one of the contestants in Big Brother 2, to celebrate his 50th. Now Jeff and I met Stuart at Mix 96 not long after he left the famous reality show house in 2001. After being a guest on the breakfast show hosted by Chris Blumer and Jeff. The station offered him the chance to present a Sunday morning radio show. A programme which I ended up producing for a short while. Which is obviously how and where I met him. While working together we did go for the occasional drink after the show. Which was always good fun. I remember one Sunday we managed to get a man from Aylesbury who had been on the previous night’s Blind Date in for a chat. That was interesting to find out first hand exactly what it was like being on a big show like that. If my memory serves me right, I think he also came for a drink after the show with us that day. Anyway we had a few drinks in Bicester before jumping in a taxi and going to the hotel where Stuart’s party was taking place. He had hired out the whole of this very nice hotel just on the outskirts of Oxford. On arrival it was pretty easy to spot the birthday boy as he was dressed in all white and wearing a set of angel wings. So we said our congratulations and had a quick catch up with him, bearing in mind it was probably about eight years since I had seen him last. Whatever he is doing it is working for him as he was looking really well. There was free ale on a self service tap. It would appear Jeff is better at drinking it rather than pouring it as he managed to lose about a pint of it on the floor because he couldn’t turn the nozzle off. I did think about just laying under it Homer Simpson style but I then thought this might look a bit uncouth. The entertainment was fantastic. There was a magician who was walking around doing some table magic and card tricks. But the main attraction was a band who were called Rockaoke. And yes you have guessed it they are a live brilliant band who play while you sing in a Karaoke style. If you are a big fan of Chris Moyles you might just remember that he did a big tour with this band around the country. We managed to have a chat to one of the band and they have done some pretty cool stuff. They have supported the Foo Fighters and played in the VIP tents of a lot of big festivals. So you can imagine the kind of people who were joining them to perform in those situations. They are so good and can play so many different songs. They so effortlessly move from one song to another. 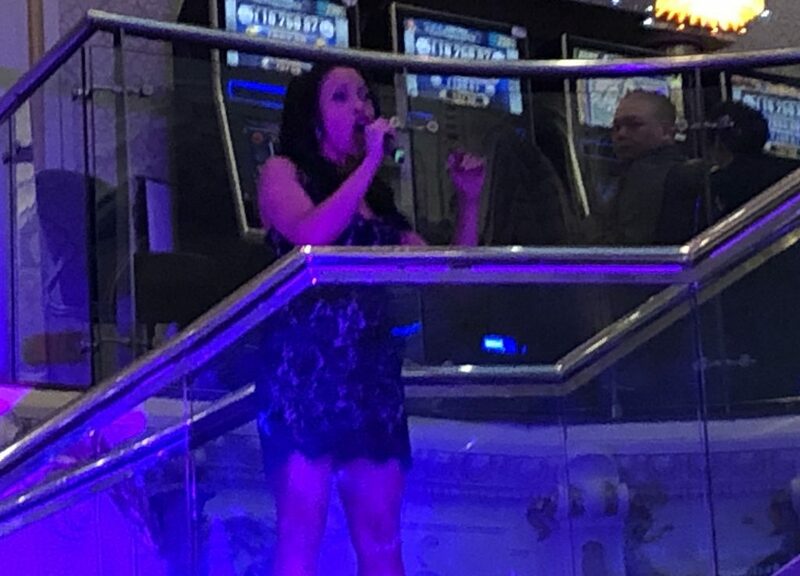 And they do have a singer who will sing backing, harmonies and also just chip in if you need a bit of help to keep the song going, to make you sound much better as well. Now unfortunately I can’t sing and I am completely tone deaf. Which is a real shame as I would have loved to have got up there and belted out a tune with the band. Jeff Nolan however can sing a bit. So he treated us to a version of the Oasis song Rock N Roll Star with more swagger and attitude than even Liam Gallagher could manage. And while doing nothing for regional stereotyping. He also treated us to some Beatles and a bit of Day Tripper. We were trying to convince Stuart, the band and anyone else that would listen that we should close the night with a version of Let It be. Where we all sing an individual line each, in a kind of Band Aid sort of style. 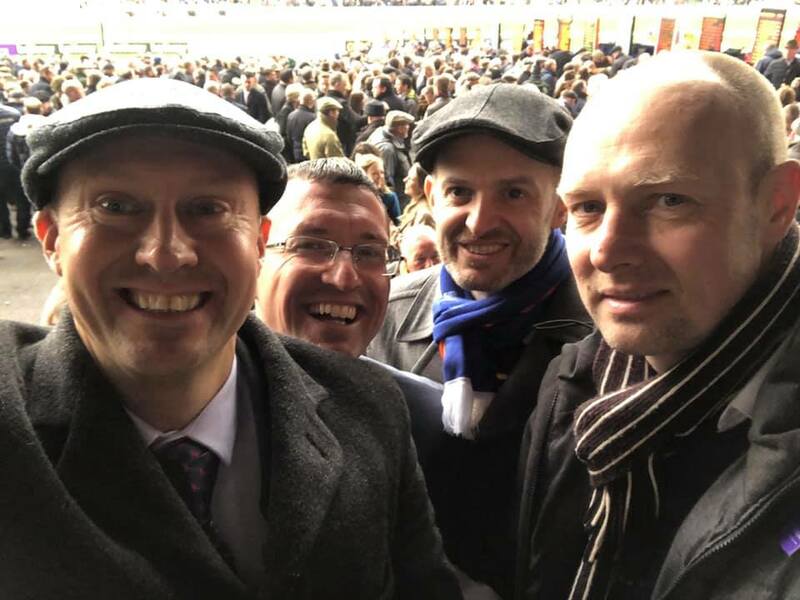 We were over ruled and Stuart and his rugby mates performed Thin Lizzy’s The Boy’s Are Back In Town as the the last song. Which on reflection seems fair and makes sense. It was a great night. 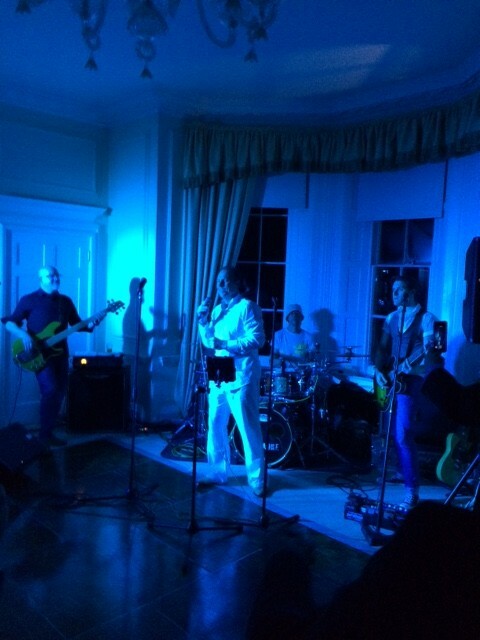 The venue was lovely, the guests so friendly and the entertainment top quality. So thanks very much to Stuart Hosking for letting us join in the celebrations and a slightly belated happy 50th birthday to you sir. The day after the party Jeff and I were up early and back on the road up to Liverpool. We left Bicester with the plan to stop at the next Mcdonalds we saw and have a little bit of breakfast. It would seem this particular fast food establishment is not so popular on the motorways as may be it once was. As the first one we saw was at a Service Station just outside Crewe. So we were virtually at our destination before we managed to get some food. We arrived at Jeff’s house in Liverpool just before eleven and I think we were in the pub for midday. 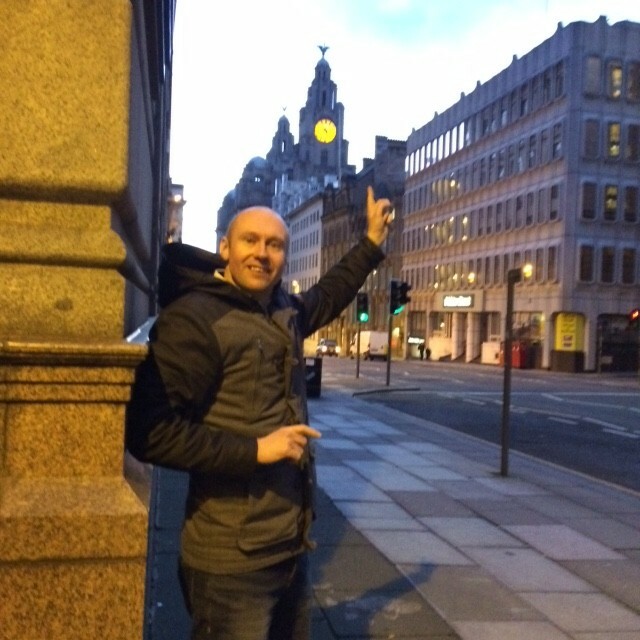 I have said this before I but I do like Liverpool and always feel very at home there. May be that is because my granddad grew up and went to school there. So needless to say I had a fun afternoon having a few drinks and watching some football before returning to Jeff’s in the early evening to enjoy what was a massive sixteen inch pizza. Which somehow I managed to finish. I think it is reasonable to say I have a decent appetite. The tour ended the following day when I got the train home. Which took slightly longer than I hoped. As it did require a bus replacement service for part of the journey, but that is Sunday travel for you. On the train journey home from Liverpool I started reading John Cleese’s Autobiography So Anyway. As you would expect from a man so clever and intelligent as him. It is brilliantly written in a very informative and entertaining way. He does go in to quite a bit of detail about his early life, explaining it in such a way that you really get a flavour of what it was like being him at that point in his life. I have only read the first six chapters. He has got a place at Cambridge University but he has not started his course yet. He is working as a Teacher in what was actually his first school as a child. I did work experience when I was eighteen at my Secondary School and that was weird enough. So working full time at his old school must have been properly odd. I am a huge fan of Fawlty Towers and all the Monty Python films. So I am really looking forward to him talking about them in the book. But he has already mentioned how things he saw or witnessed as a kid, in later life gave him ideas for character traits or comedy situations. It is a really fascinating read and I am looking forward to finishing it. But even after what I have already read, I would recommend it to any comedy fan. As a Tottenham Hotspur fan I am afraid I can’t not mention last Saturday’s big game. Over the years I have seen us lose to Arsenal on so many occasions and sometimes quite heavily. But when I sat down to watch the North London Derby on television last weekend. I did feel very calm and confident that we would at least get something out of the game. Well done to the whole team, I thought everybody was fantastic and it was a truly great performance. Watching any Spurs game is always a roller coaster of emotions and this one was no different. I would like to apologise to my neighbours for the shouting and screaming after Harry Kane’s equaliser and then again after his second. A brilliant header that won us the game. I have pretty much only just got my voice back. 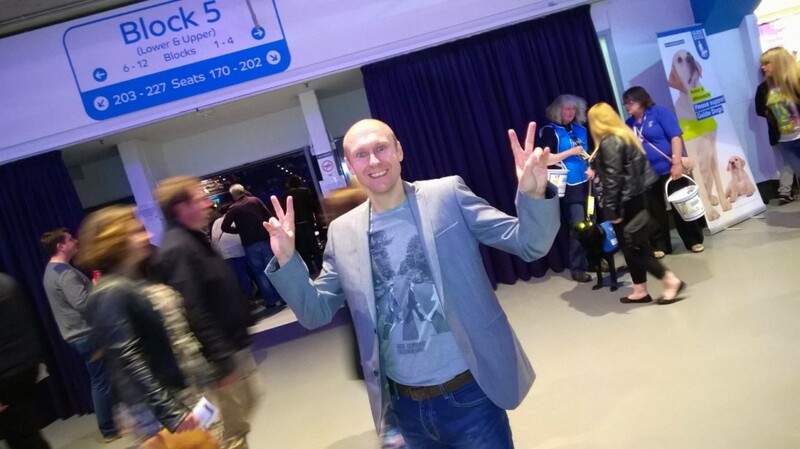 Great day for my team, I have to admit I was buzzing all week after that victory. Now I hope we can get our first trophy since 2008 by beating Chelsea at Wembley Stadium in the Capital One Cup Final on Sunday 1st March. 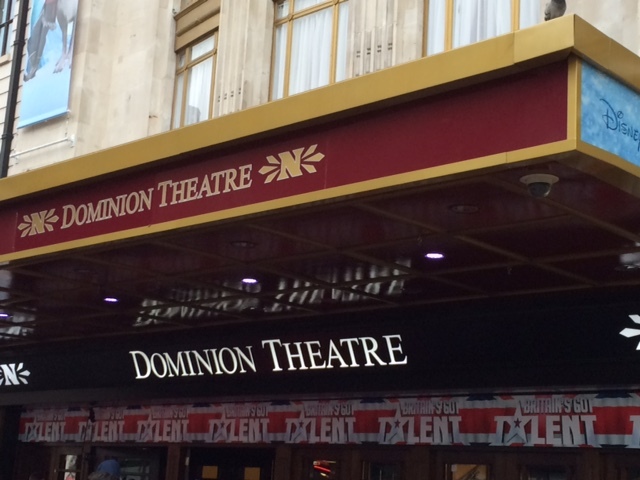 I went to see one of the London heat’s of Britain’s Got Talent last Wednesday at the Dominion Theatre. 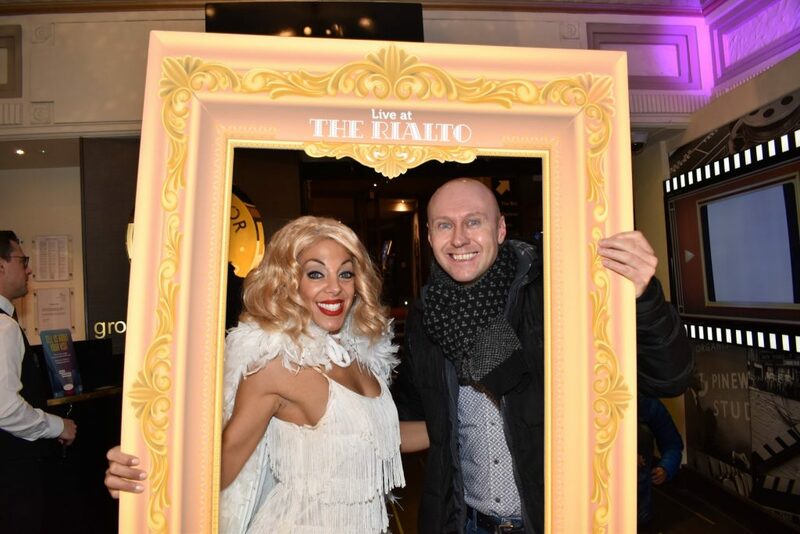 Just as I was arriving at the venue I witnessed Alesha Dixon and Amanda Holden making their way through the front doors, with about thirty tabloid photographers trying to get pictures of them as they walked past. Then just before I went inside I saw Stephen Mulhern do a bit of filming with the audience that had gathered for his ITV 2 spin off show More Talent. Then it was time to take my seat ready for the action to begin. The warm up man Ian Royce comes on first to get the crowd going and then Ant & Dec come out to say hello and have a quick chat. That was pretty much the only time we saw or heard from them all night. Because of course you will know, if you watch the show. They do all their work off stage talking to the acts before and after their performance’s. 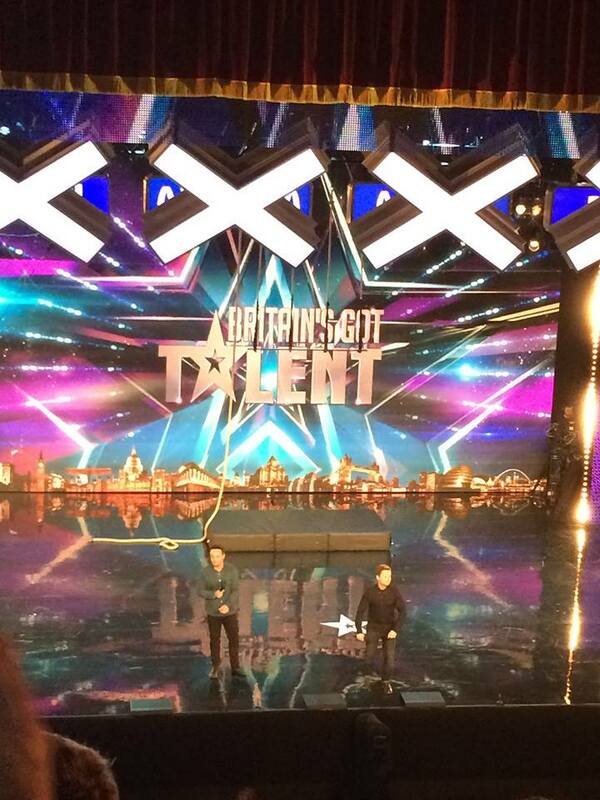 Next the four judges are then bought out and they to have a chat to the crowd. Now the next bit surprised me a little as the acts, when everything is ready for them. Seem to randomly wander on to the stage without being introduced. So we know nothing about them until they have that chat with the judges before they do their thing. Which does explain the sometimes rather odd applause they get, when they come on stage. As it kind of depends on at which point the audience spot them. 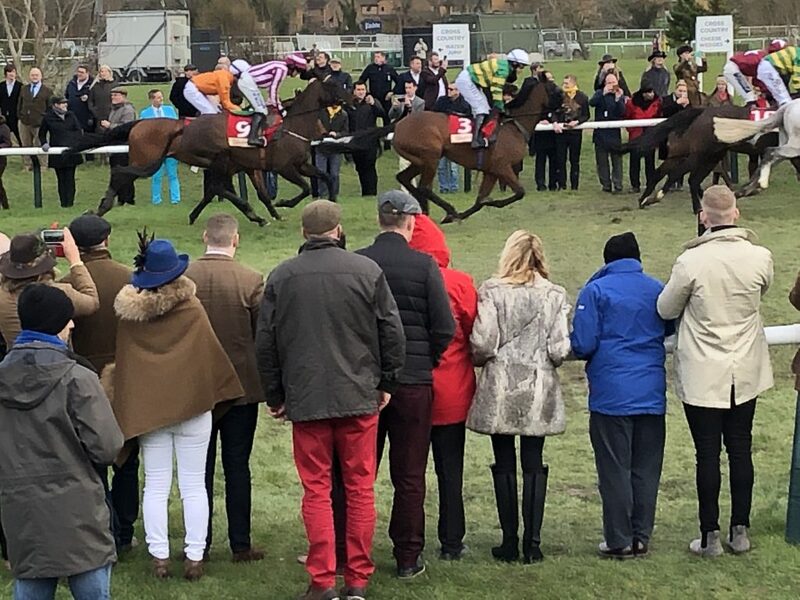 I do not want to give anything away but it is fair to say there is the usual mix of good, bad and deluded acts on the show once again this year. I did see some good acts but if I am honest I don’t think I saw this year’s winner. The banter between the judges is good. And to be fair on the whole they were being very nice, even to the not so good ones. One thing that did amaze me was how loud the buzzers are. When they go off it does make you jump. So no wonder the acts always look confused and pause for a second when one is pressed. It was a fun night out and I am looking forward to seeing the whole series on television later this year. There was a really bad singer on near the end. And I found myself walking straight past her as she was leaving the stage. I just chose to smile and say nothing. Which in that situation, I think was the politest thing to do. Mind you see did not look happy after getting four big no’s.